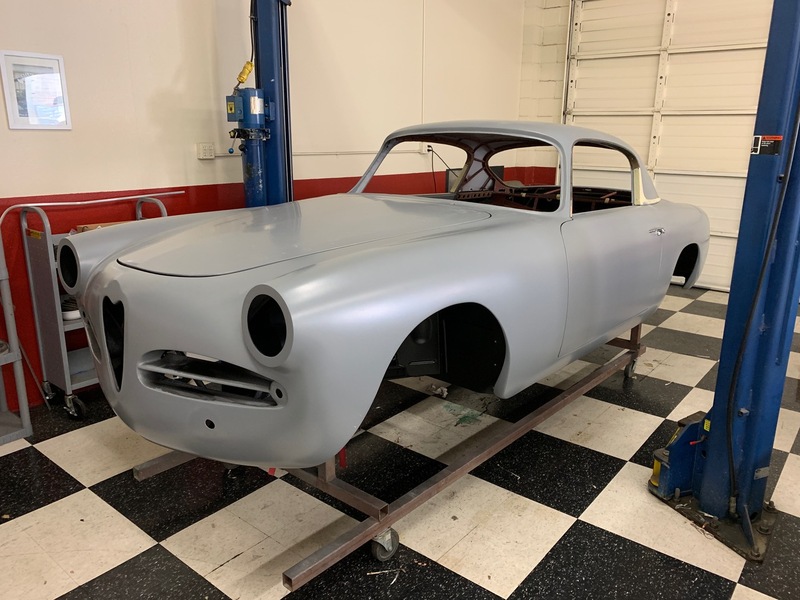 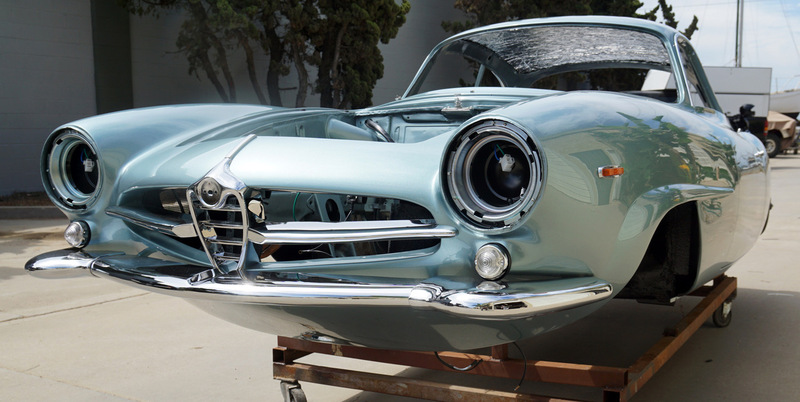 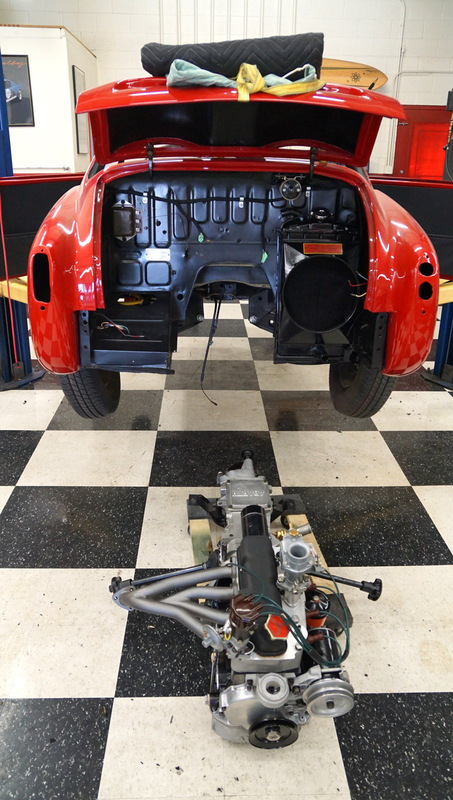 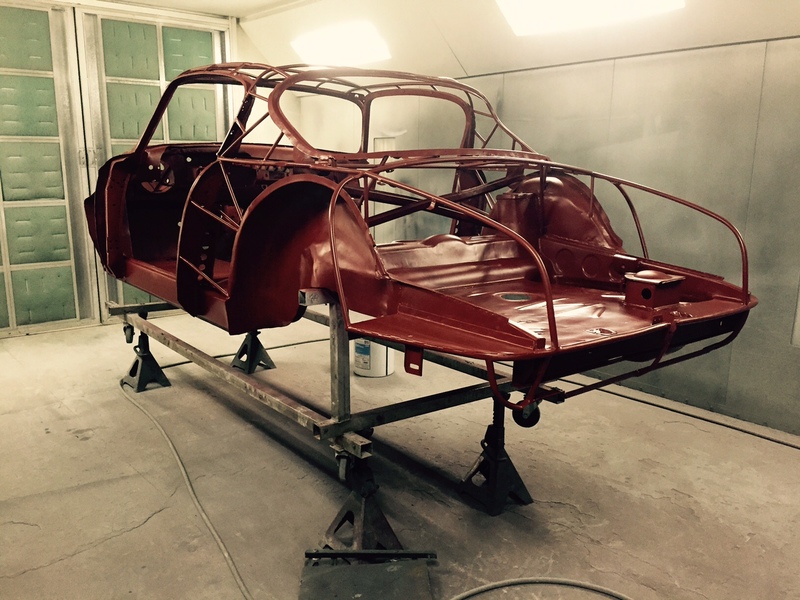 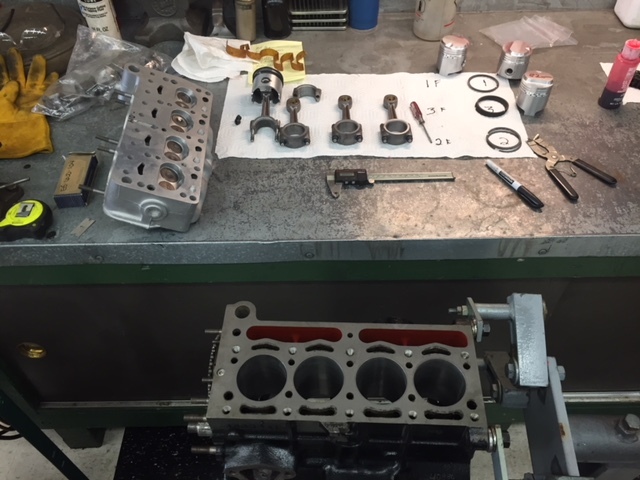 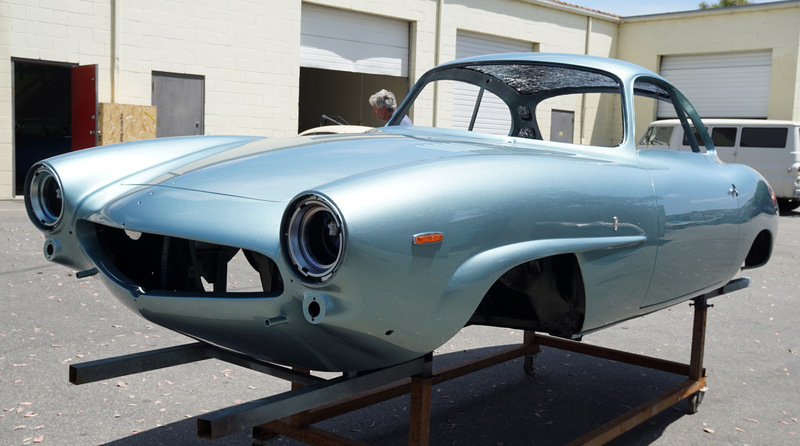 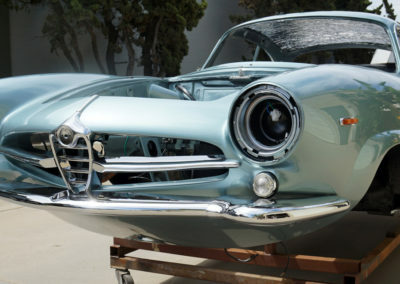 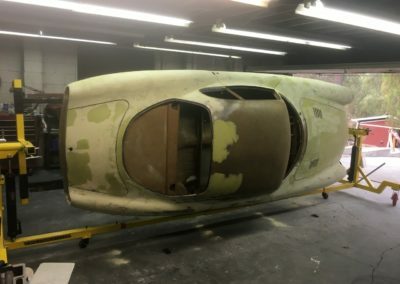 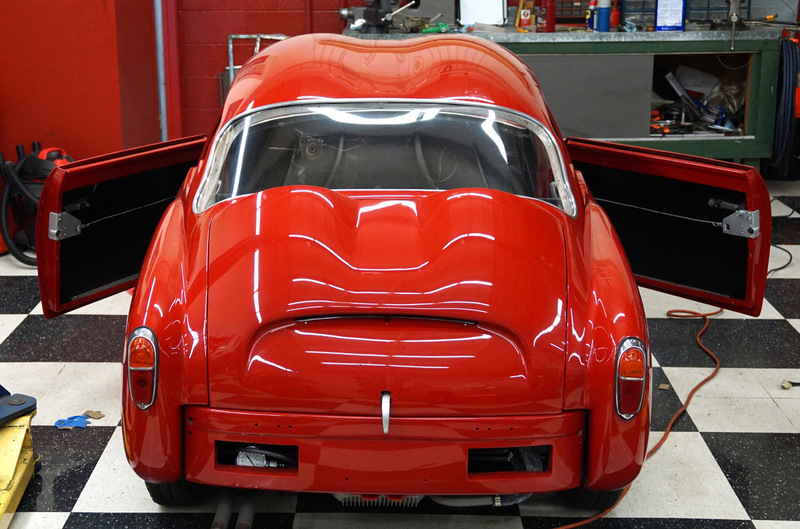 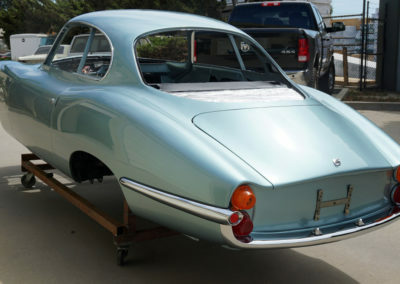 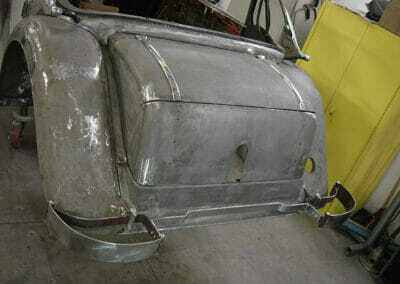 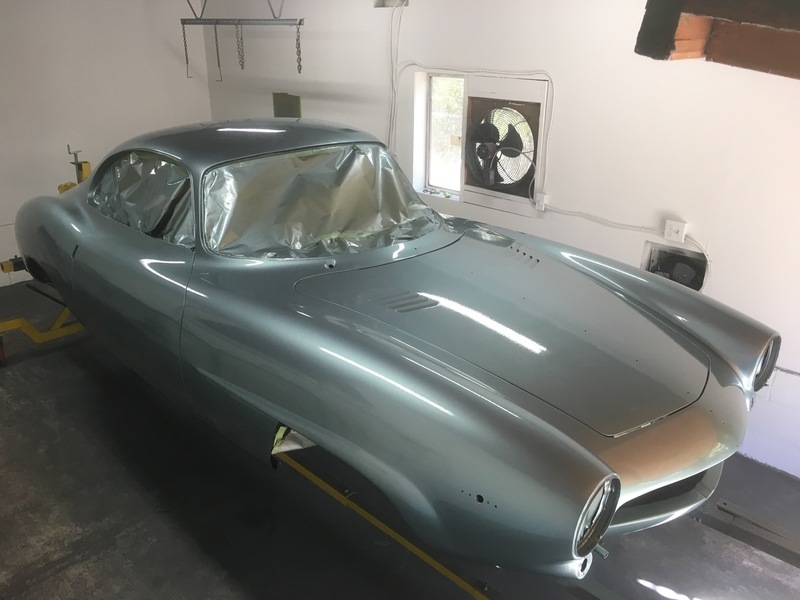 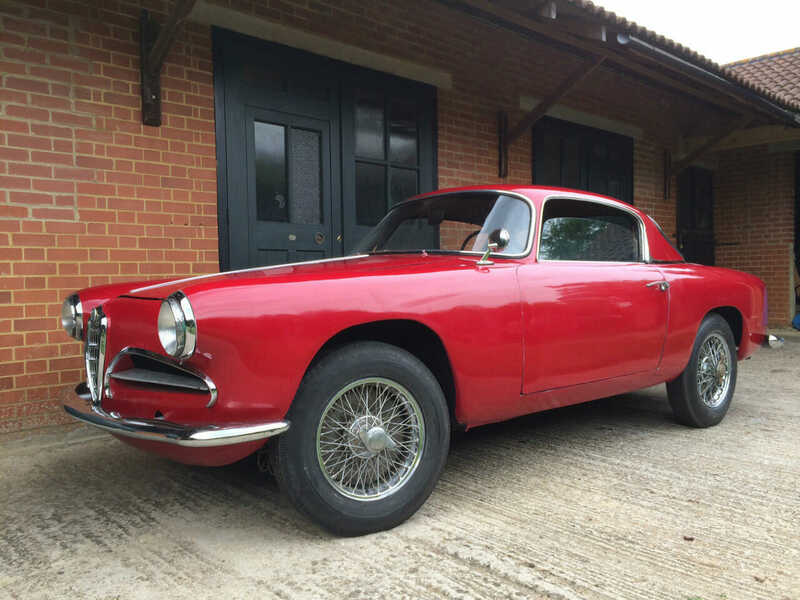 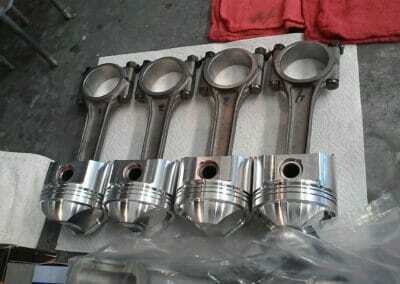 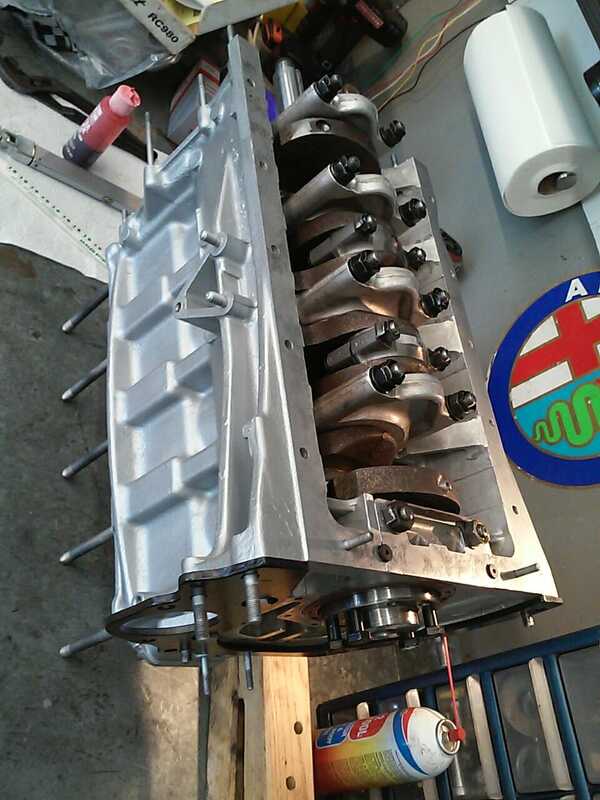 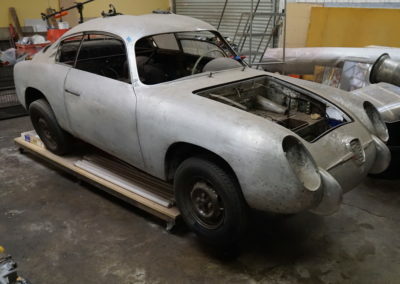 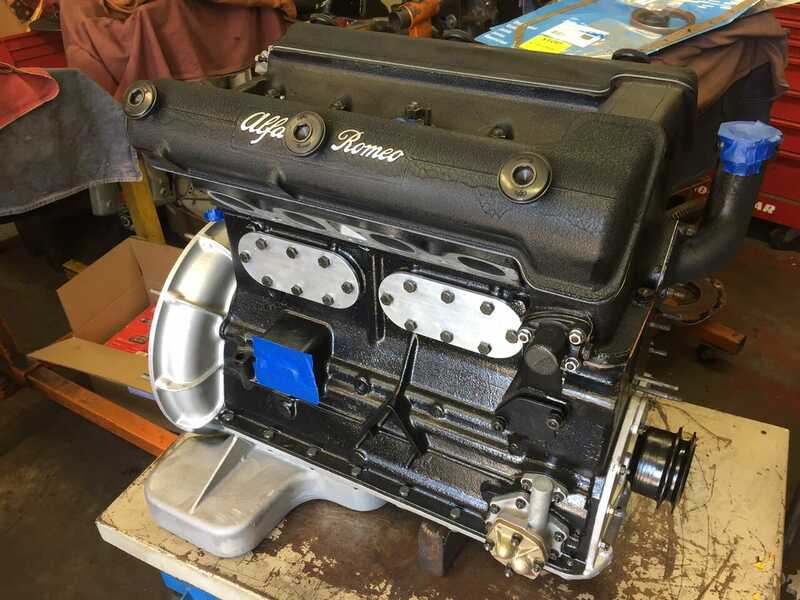 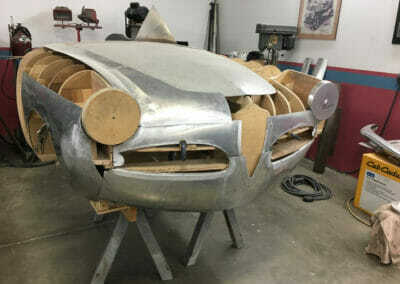 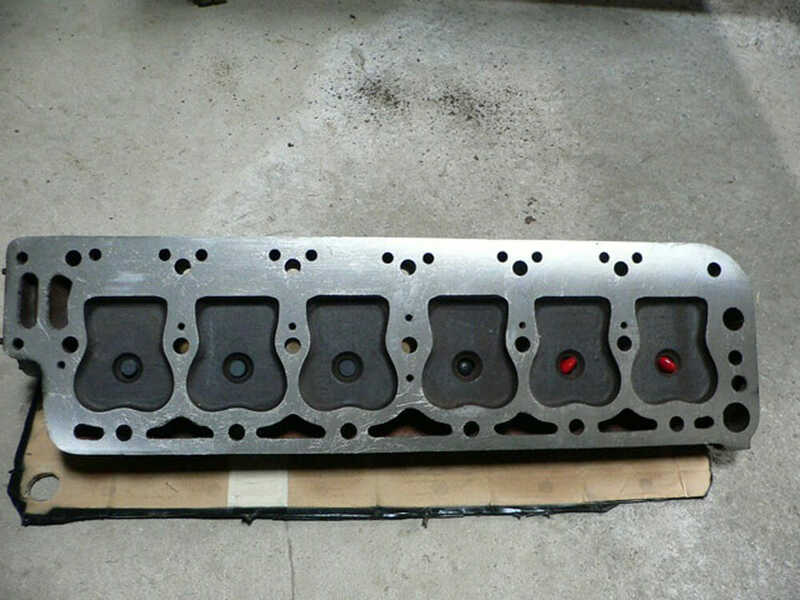 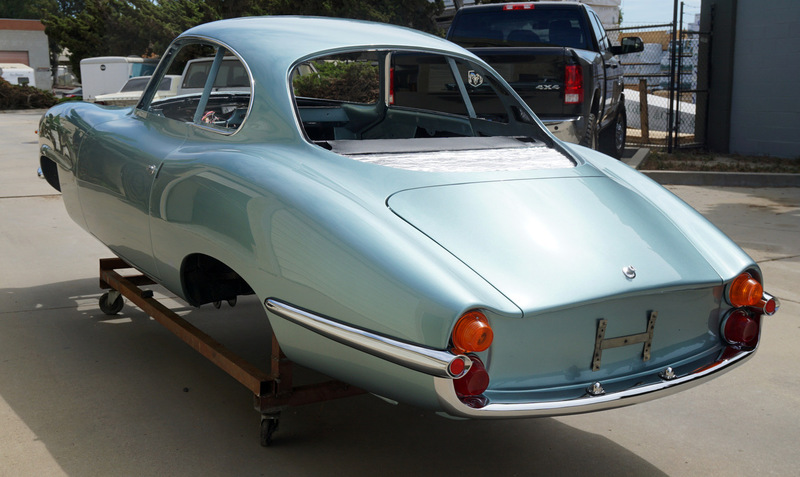 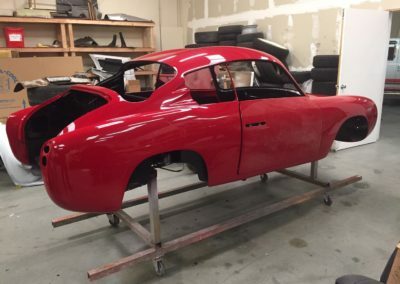 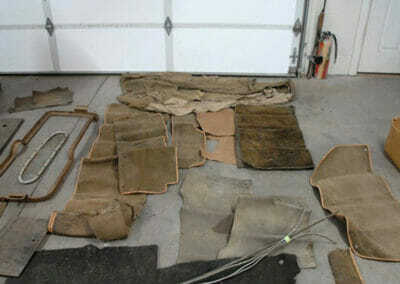 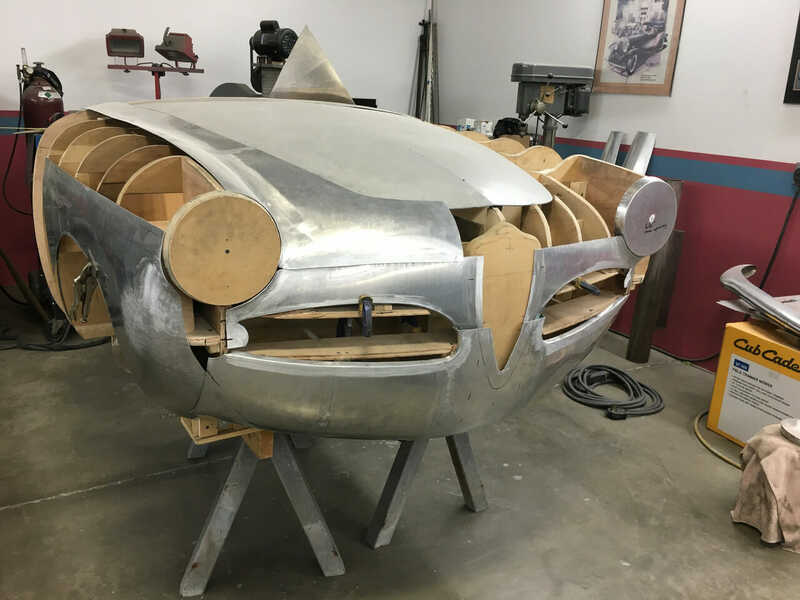 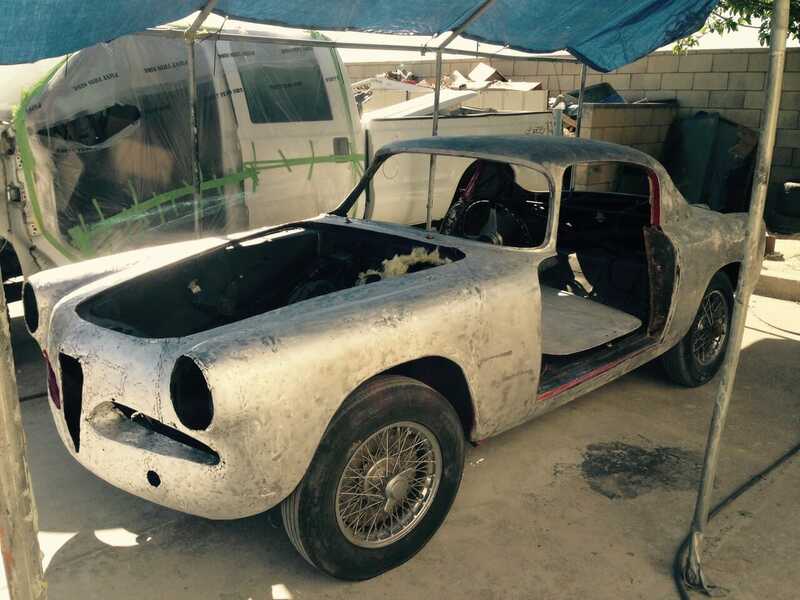 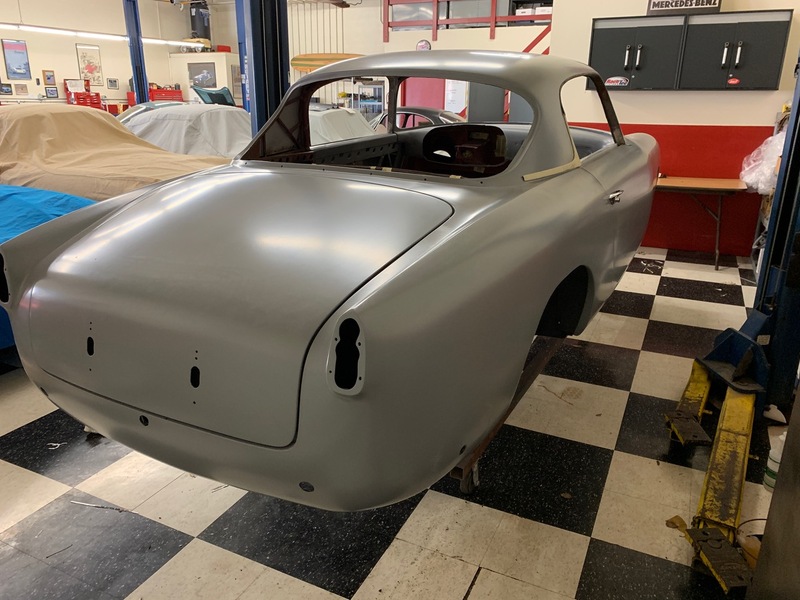 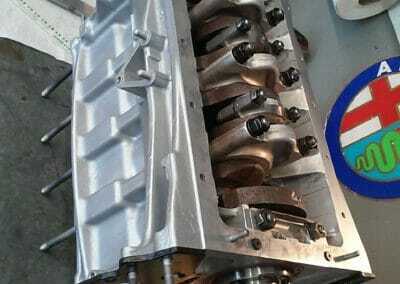 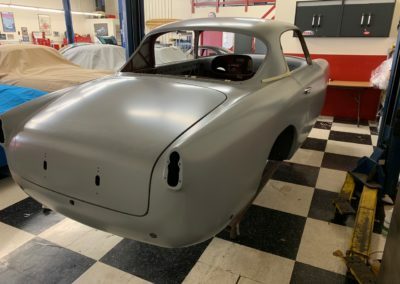 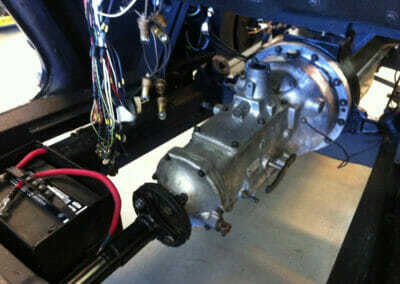 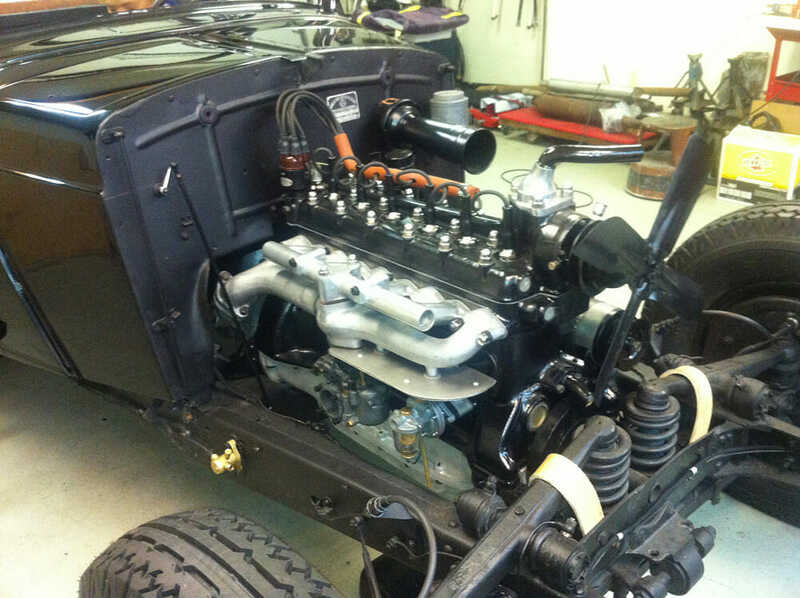 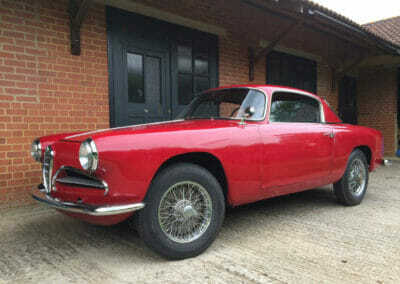 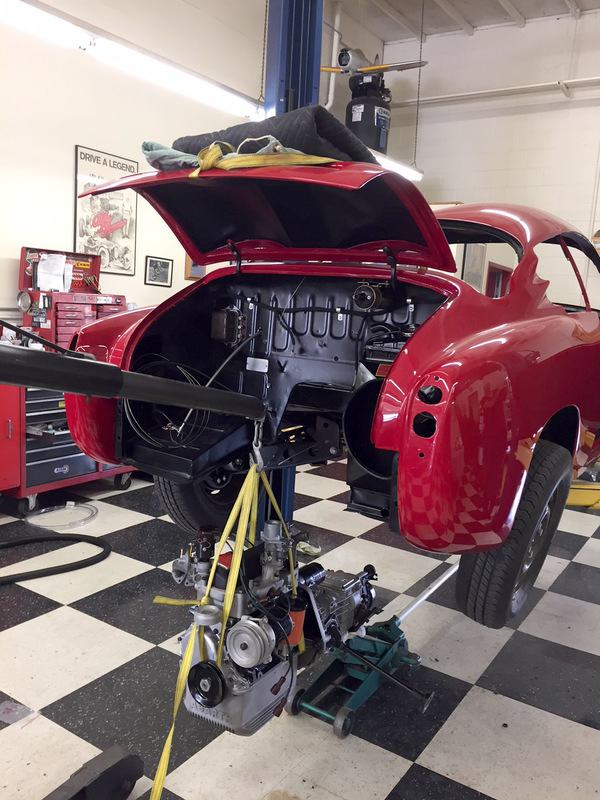 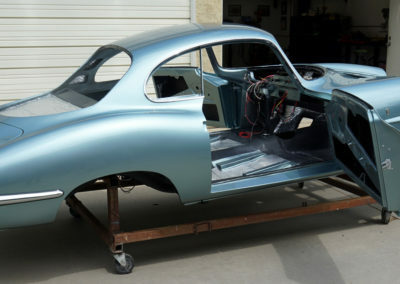 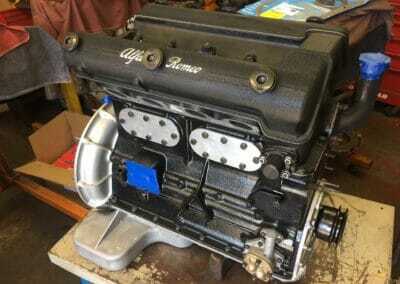 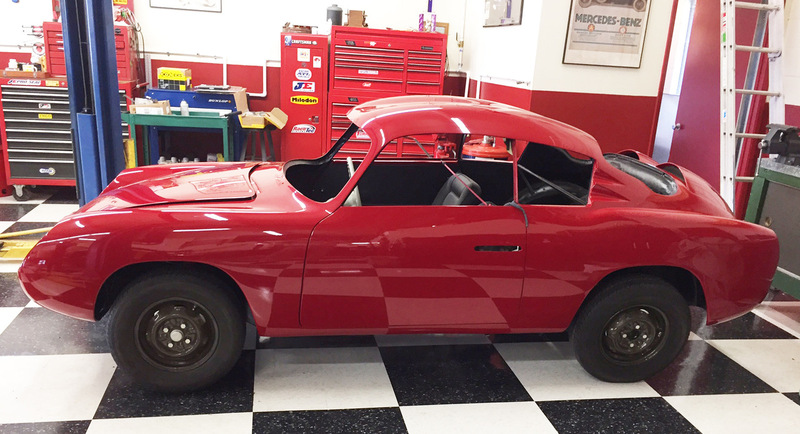 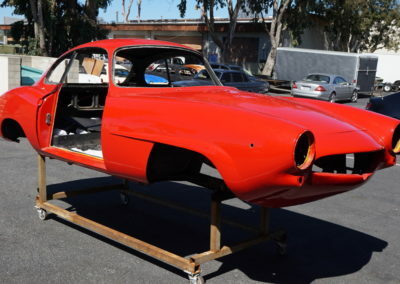 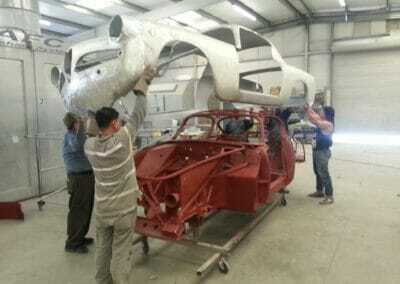 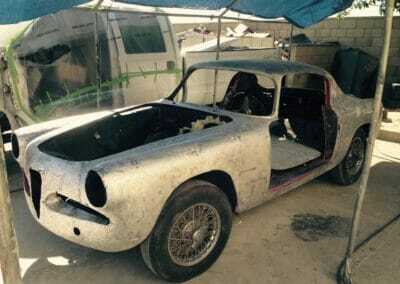 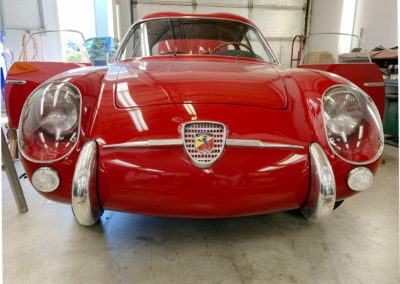 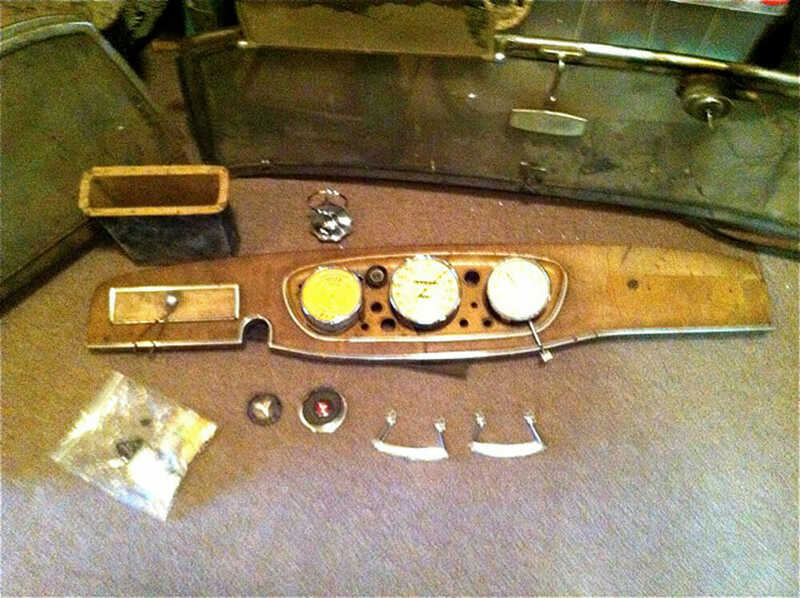 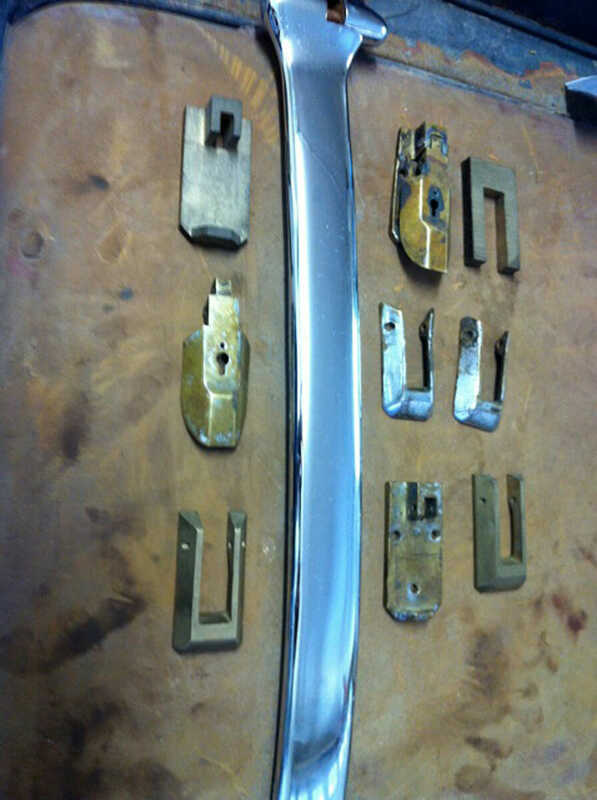 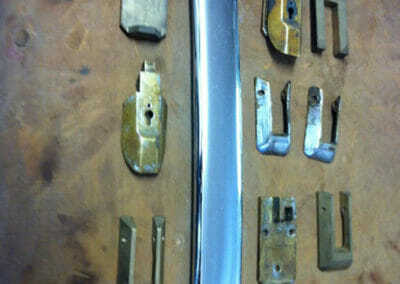 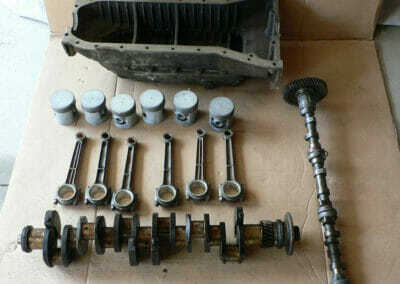 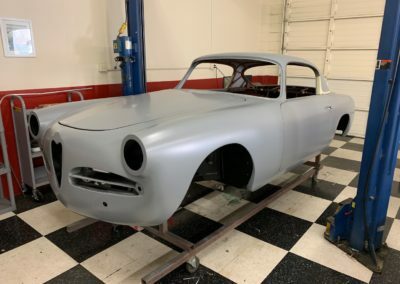 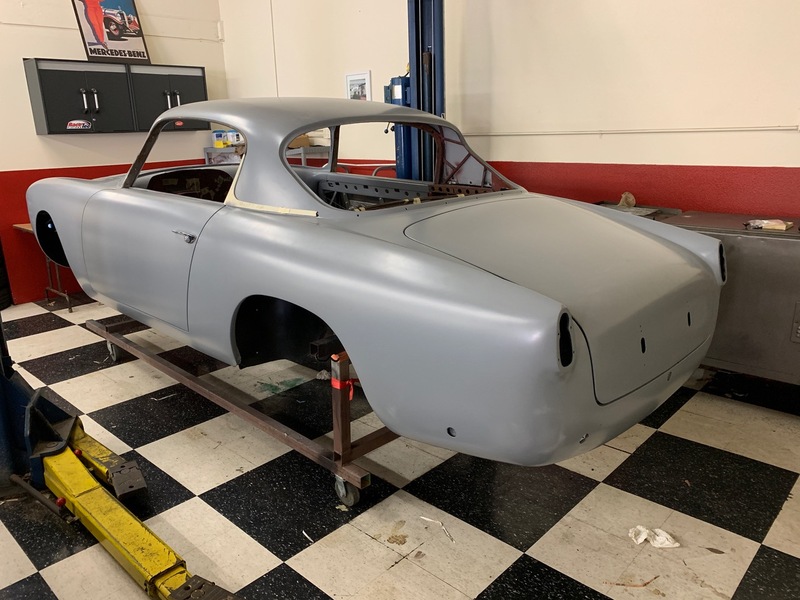 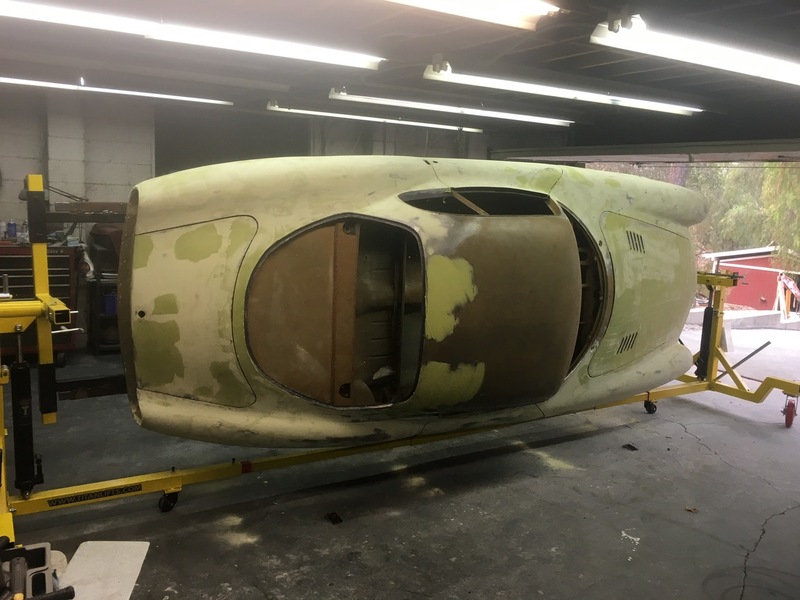 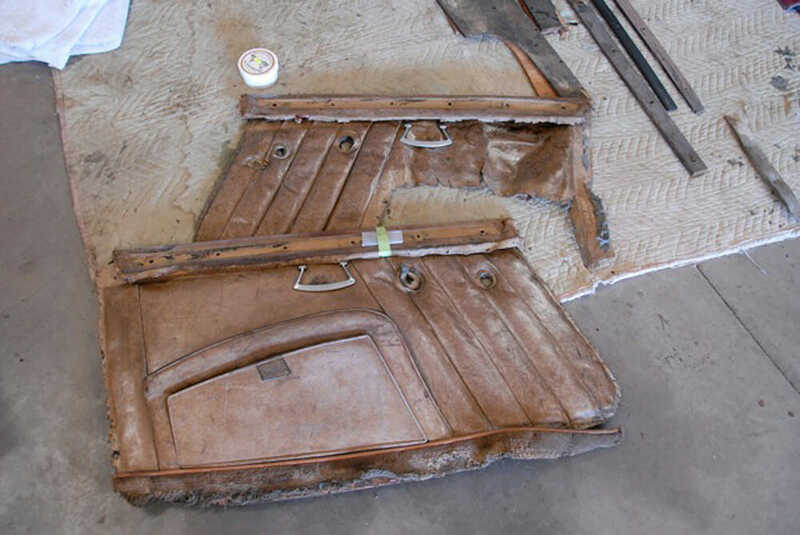 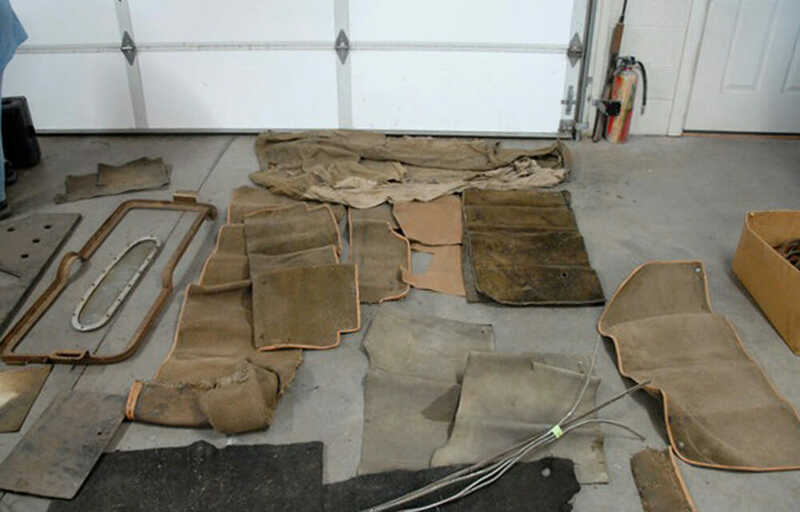 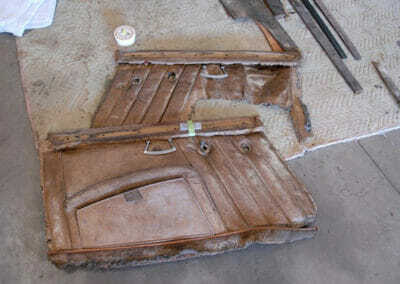 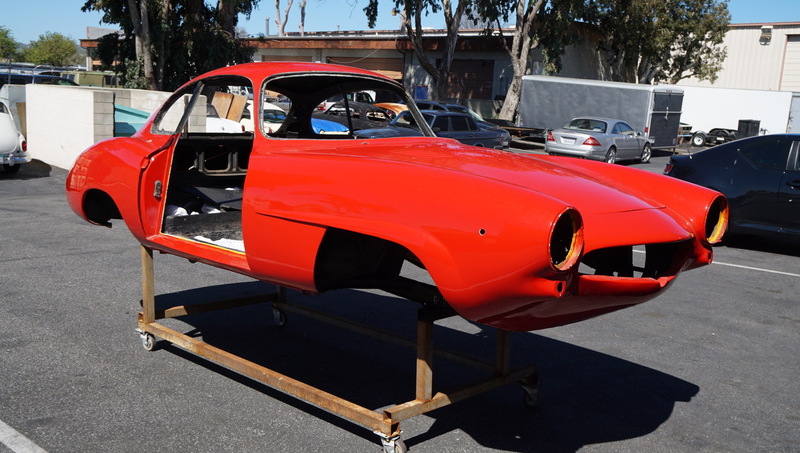 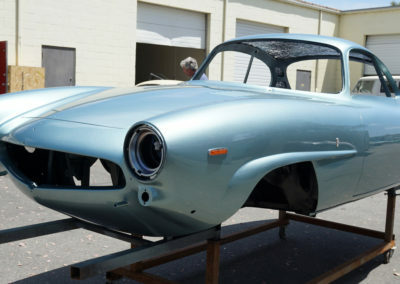 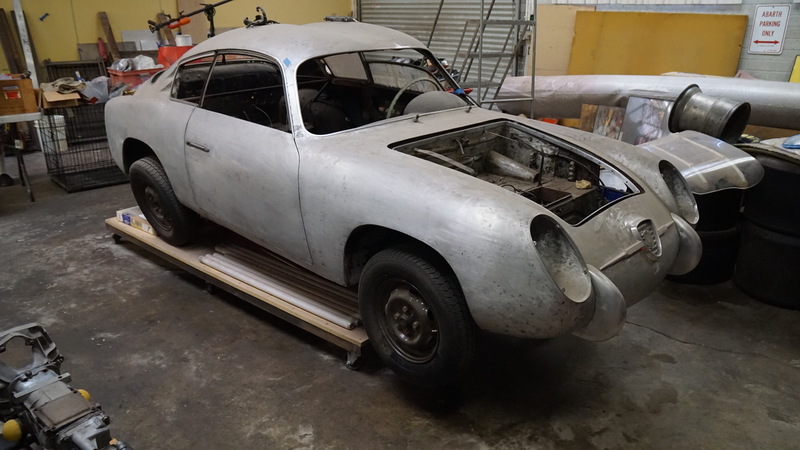 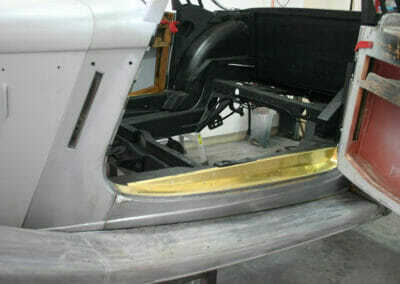 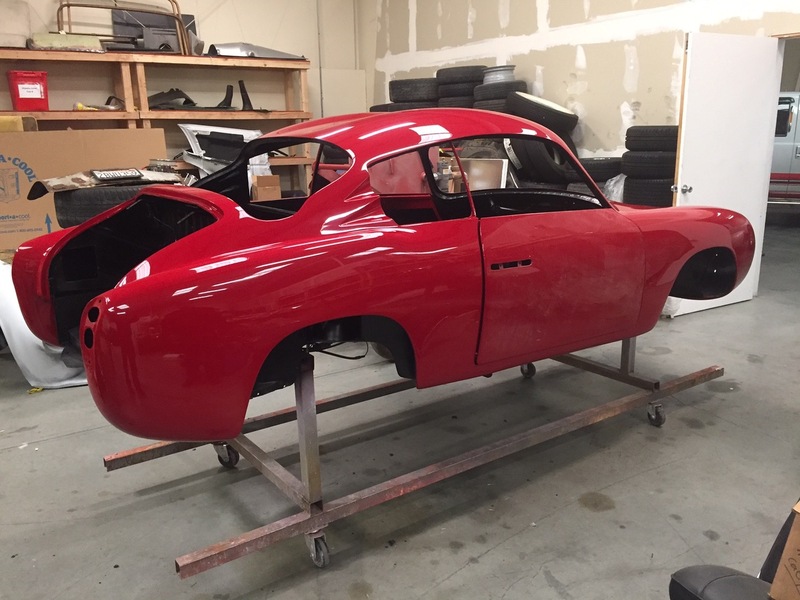 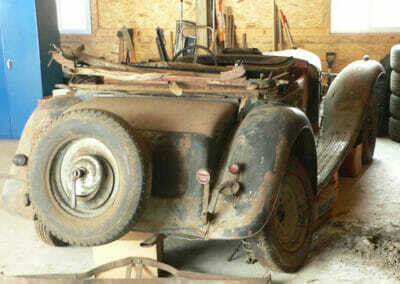 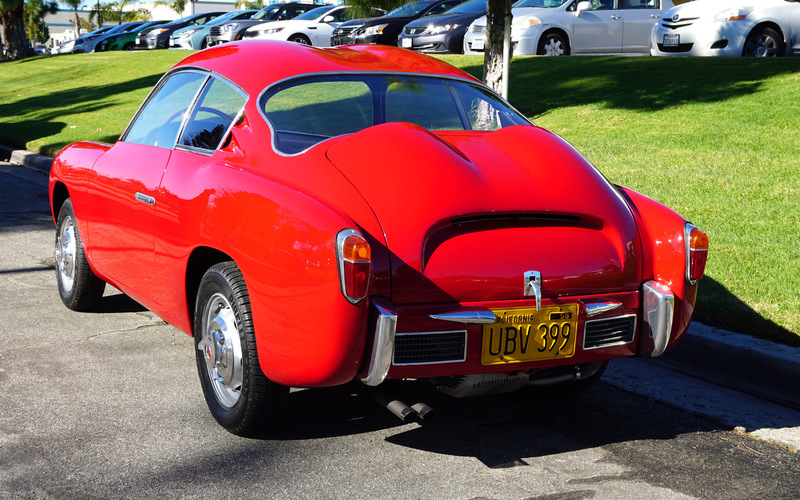 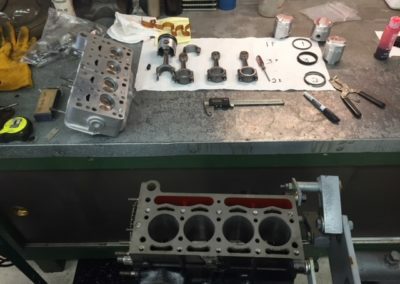 Currently we are restoring one 1956 Alfa 1900 CSS and three Alfa Sprint Speciales. 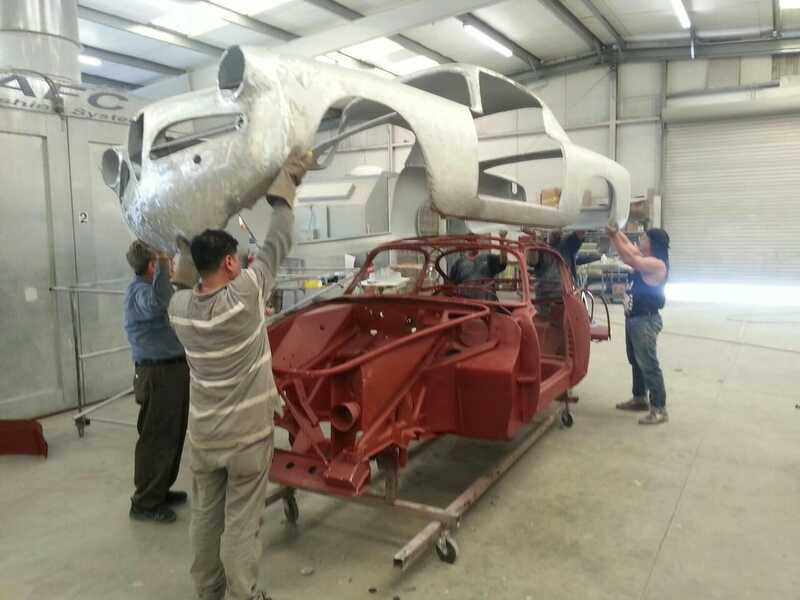 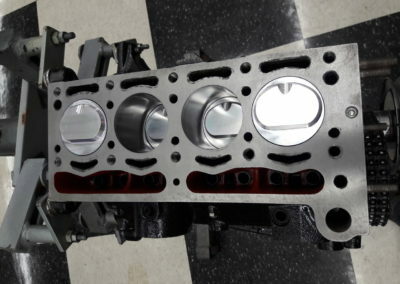 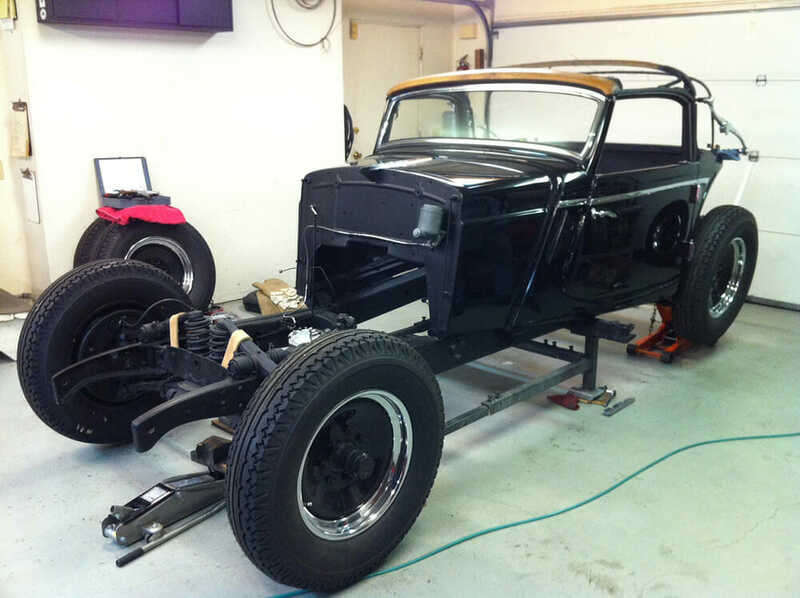 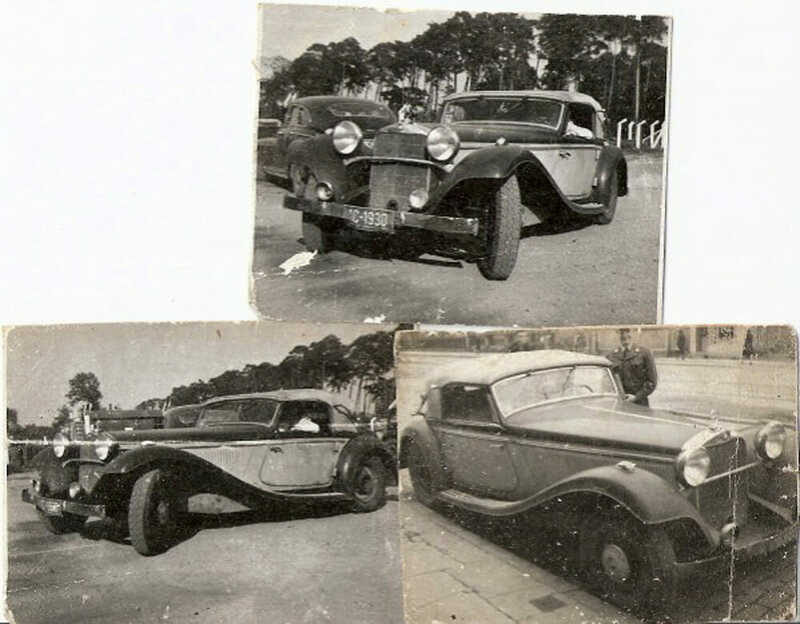 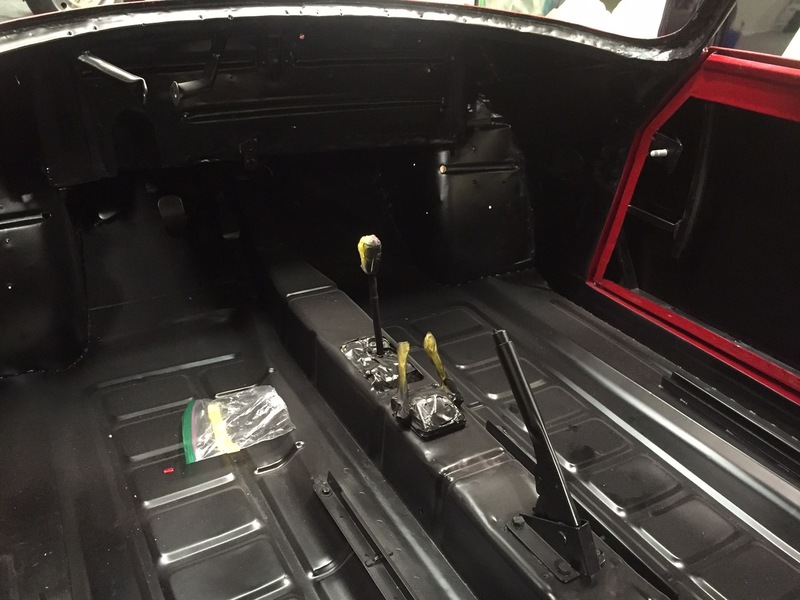 The cars are in different stages of completion and change daily. 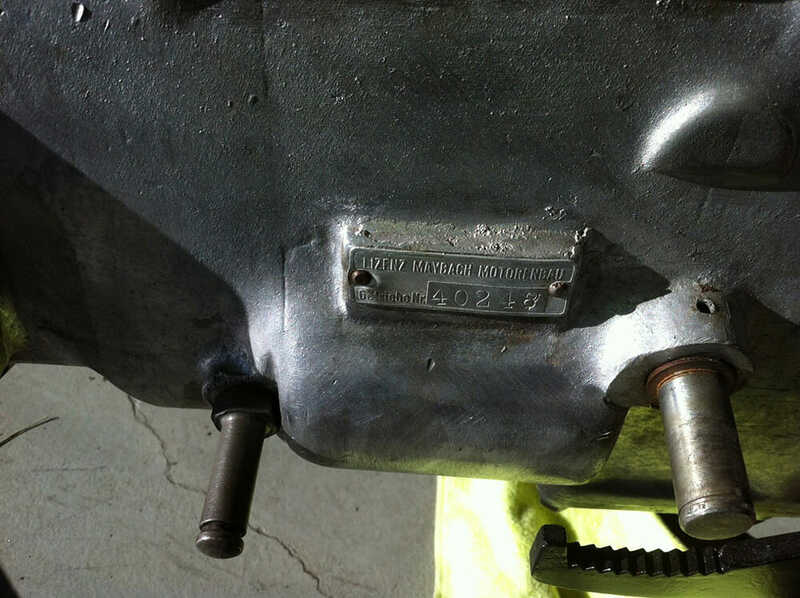 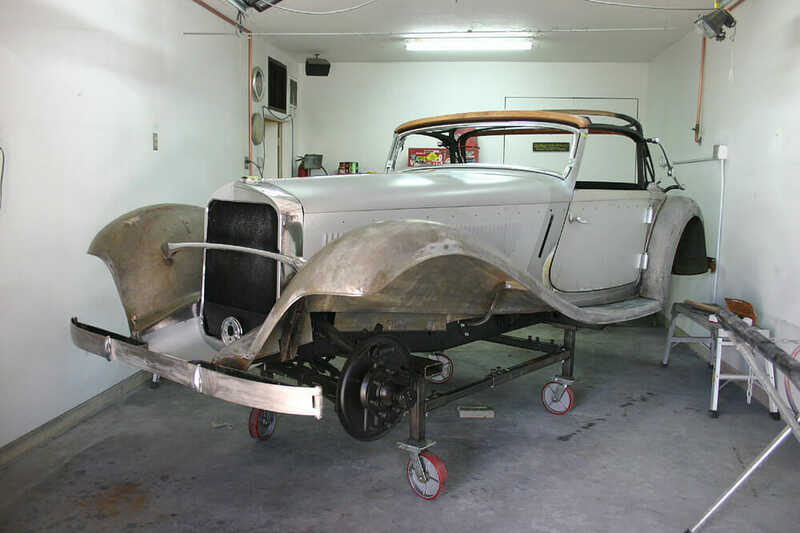 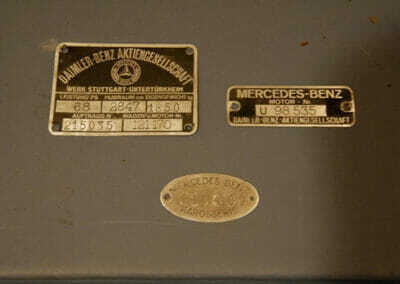 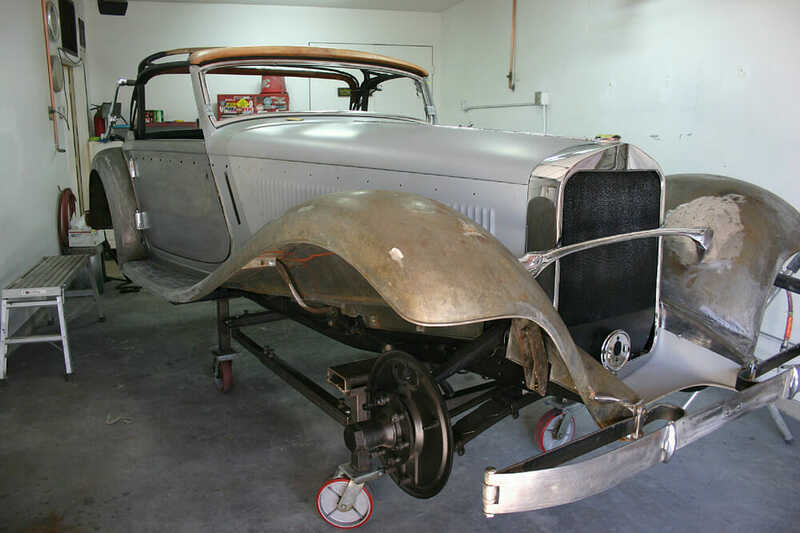 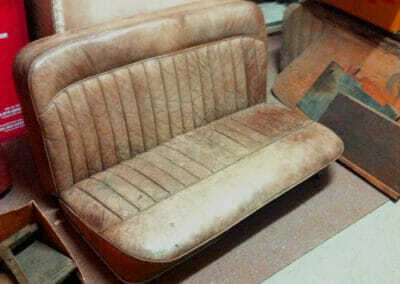 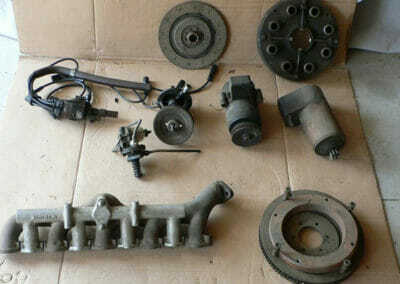 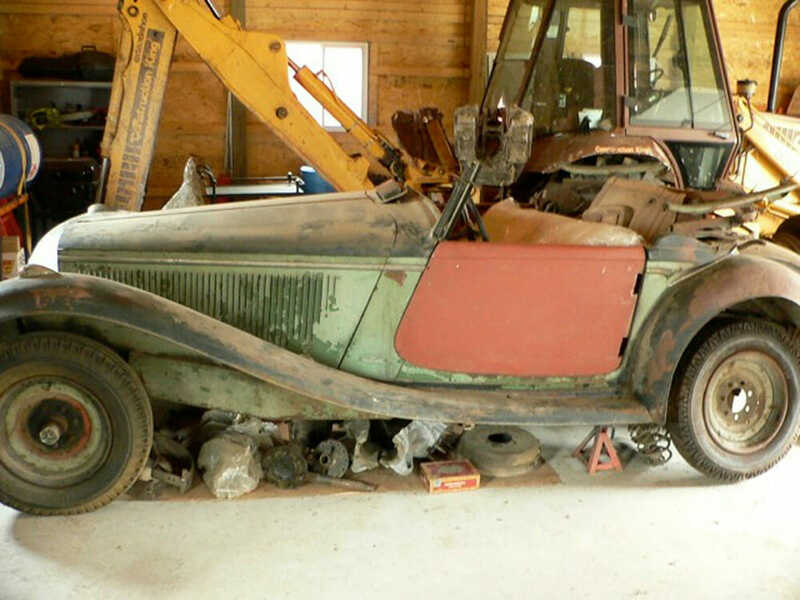 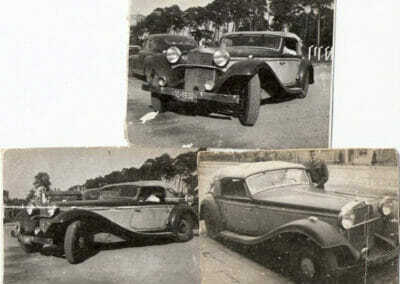 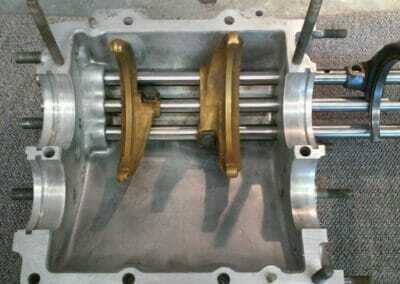 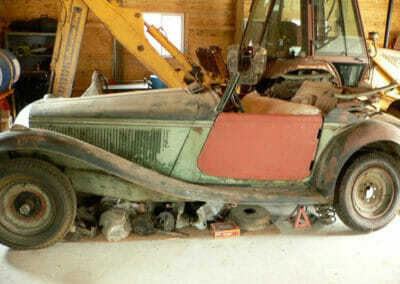 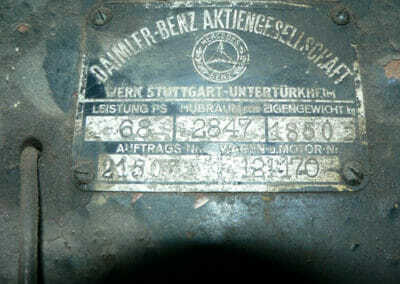 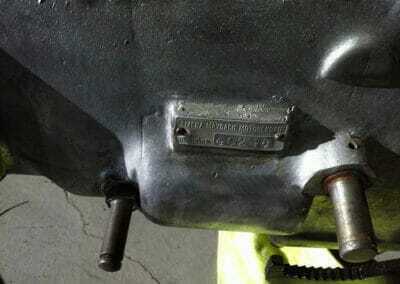 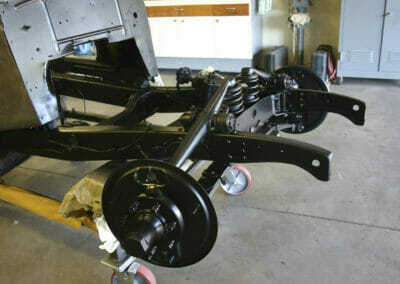 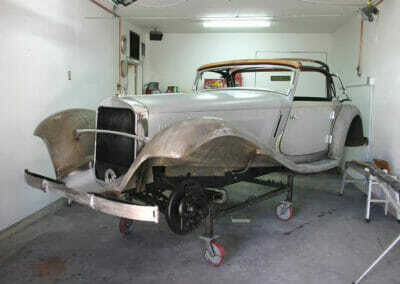 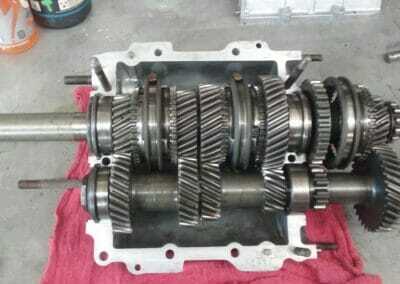 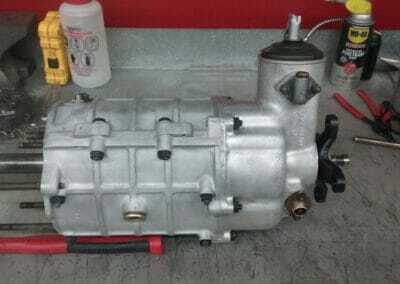 We have listed some photos of the restoration process and also some photos of previous restorations. 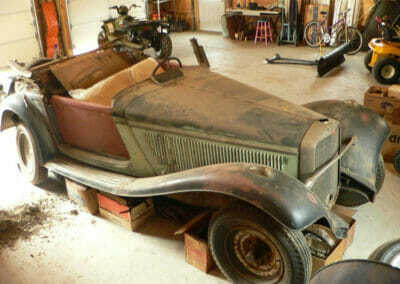 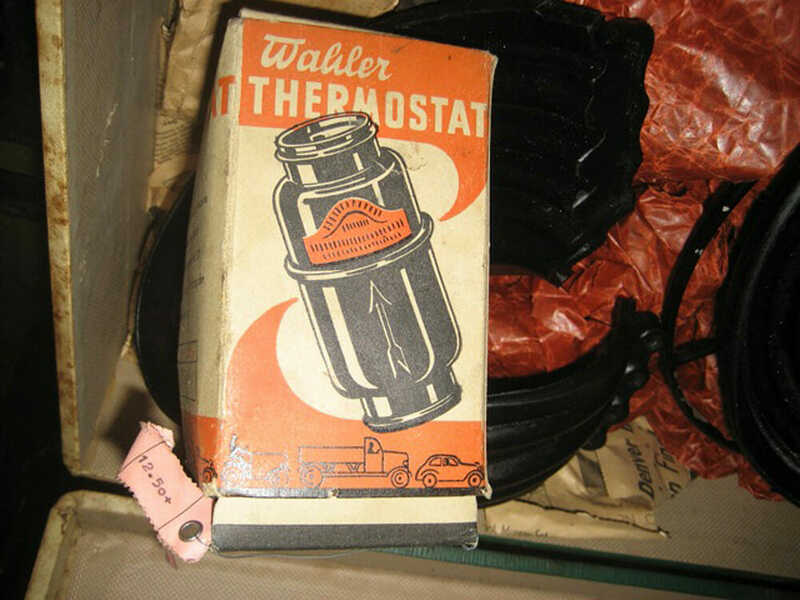 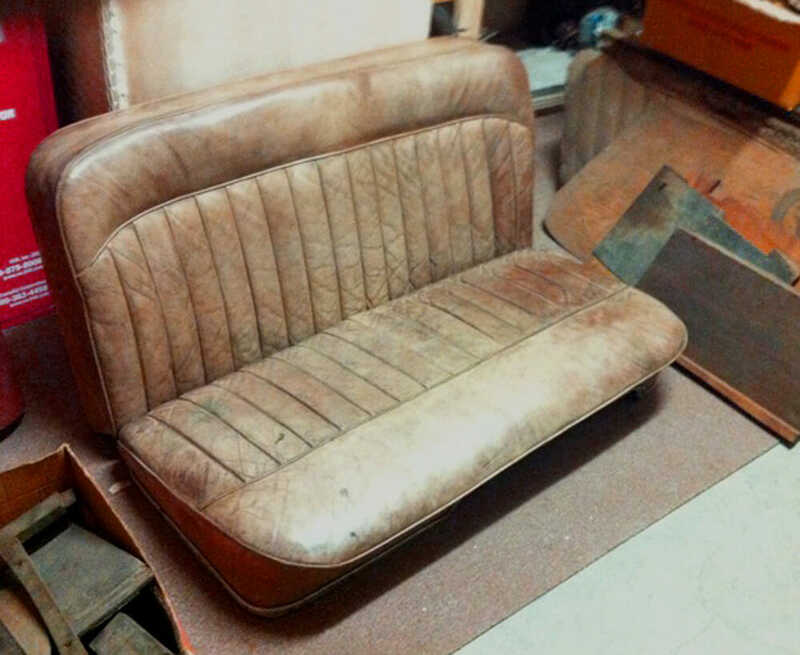 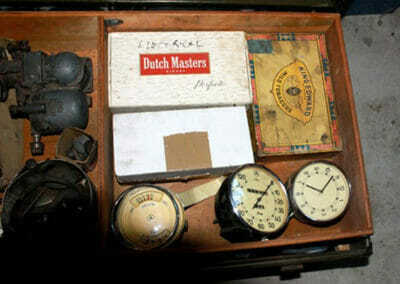 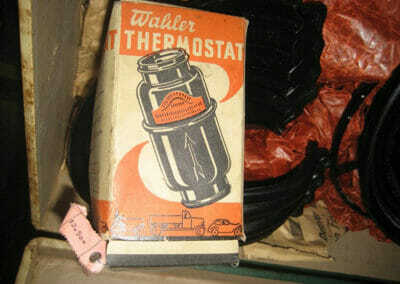 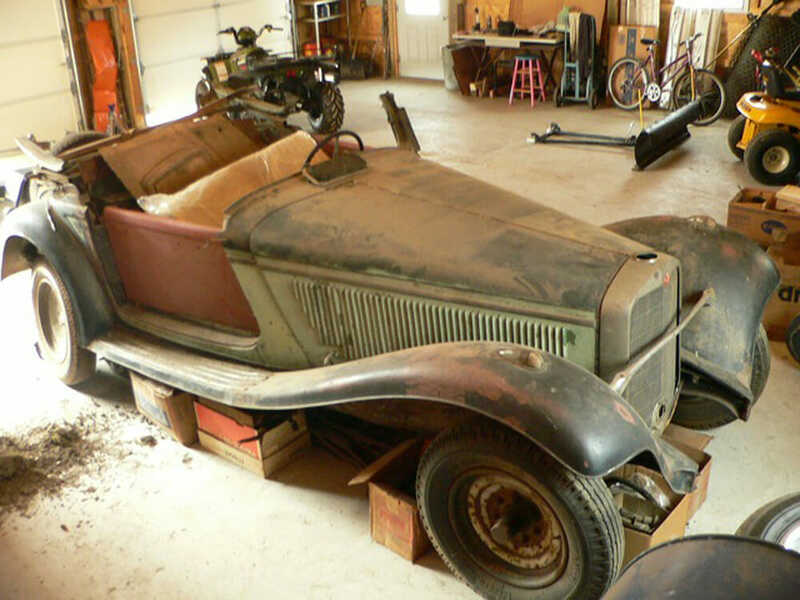 We own what we restore and are always looking for interesting projects. 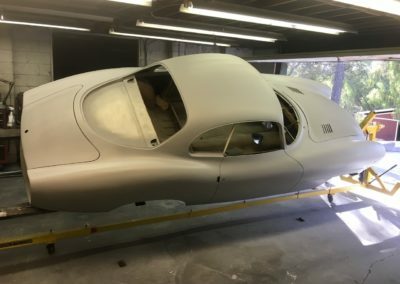 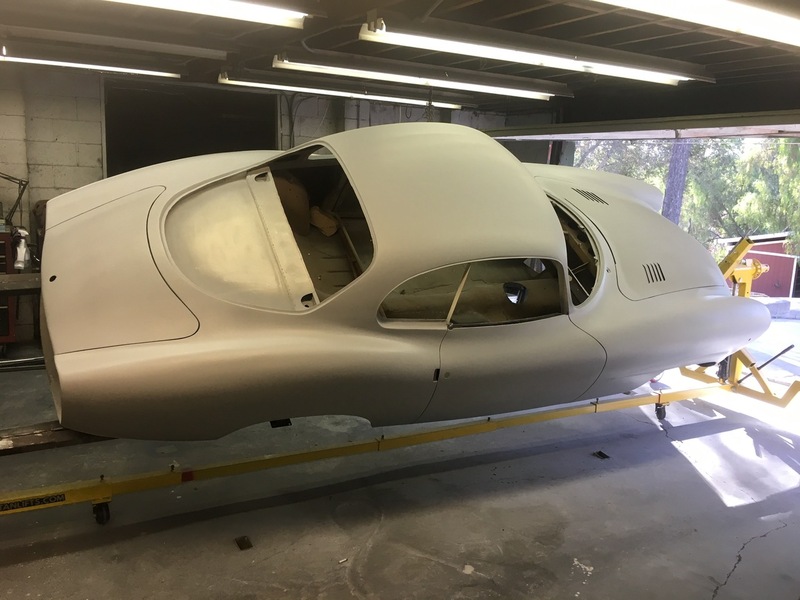 The aluminum body is now in primer and ready for paint; underneath the chassis and the engine and trunk have been painted satin black. 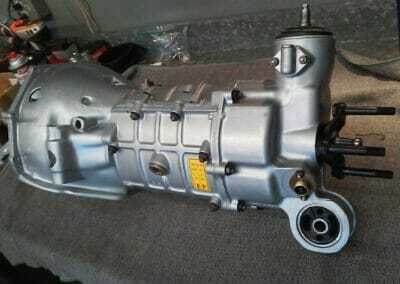 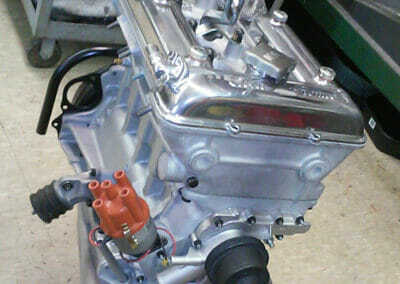 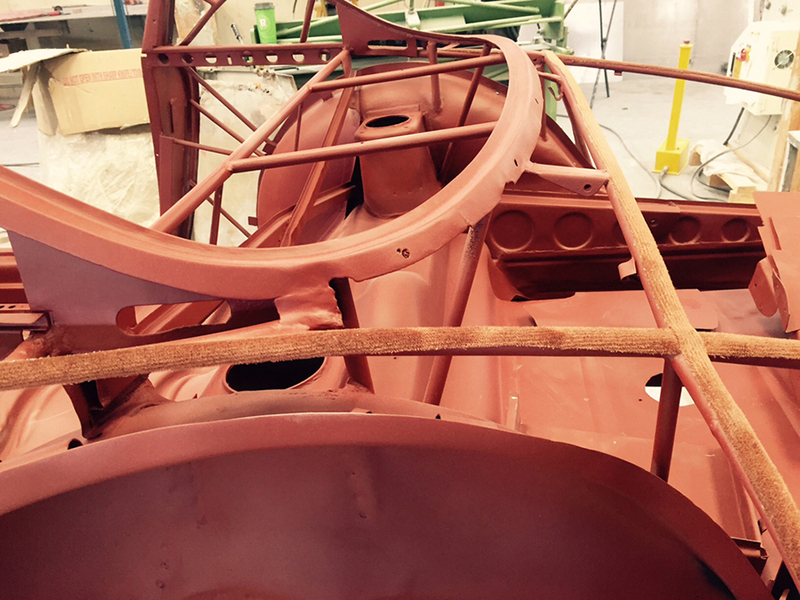 We next install all the mechanical components and do it now so we don’t damage the new paint. 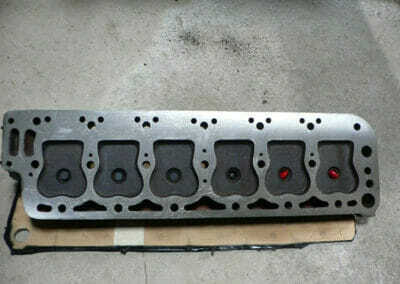 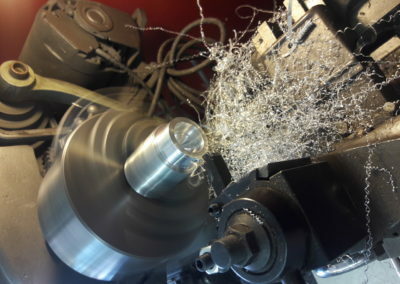 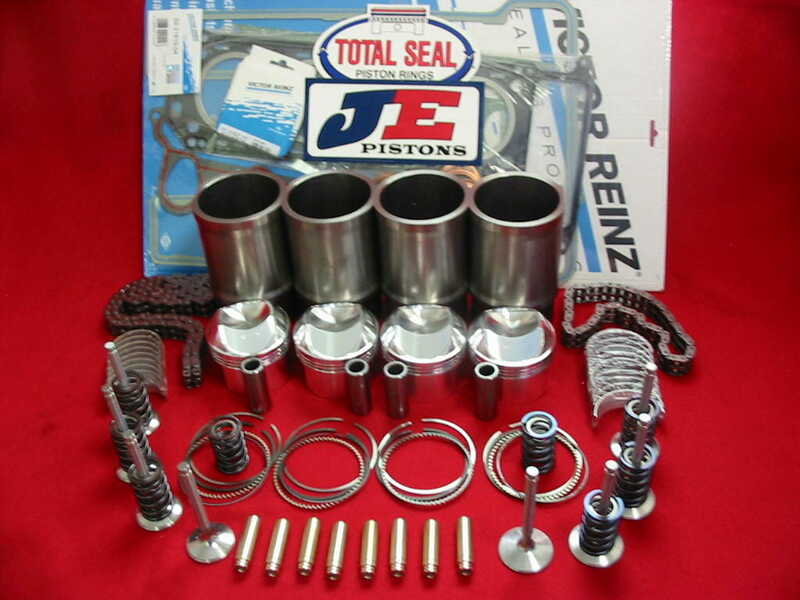 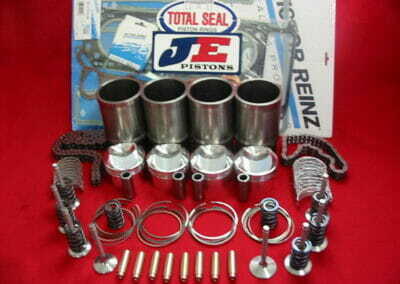 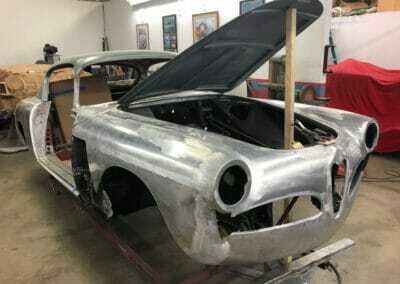 There is no filler on the car; it is either aluminum or steel. 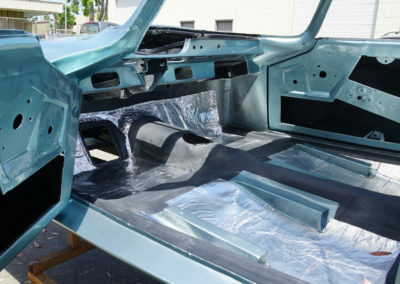 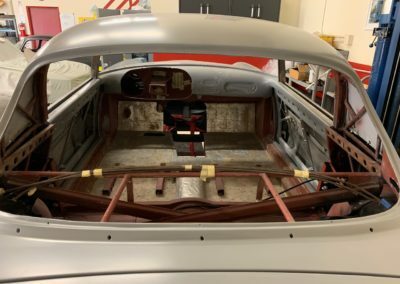 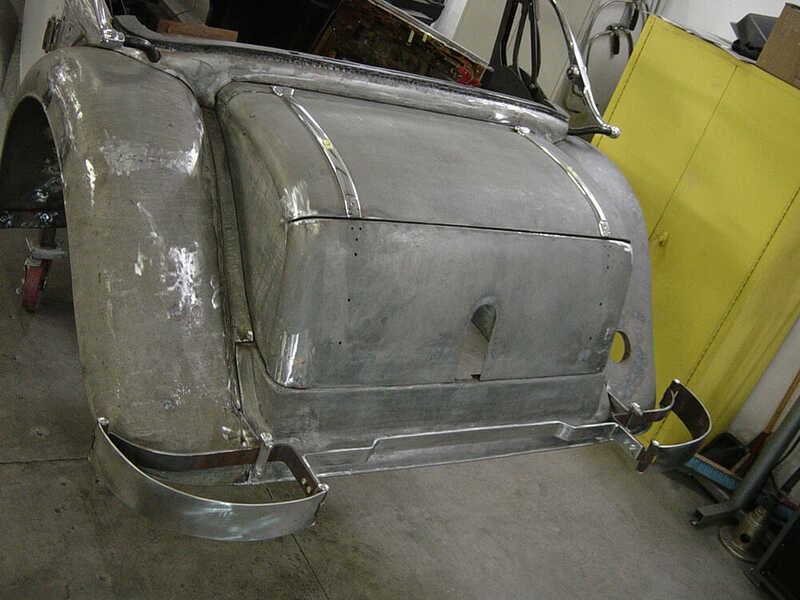 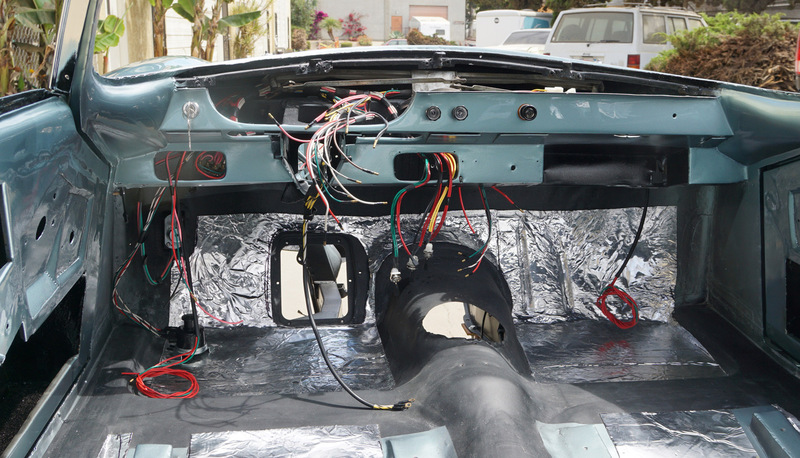 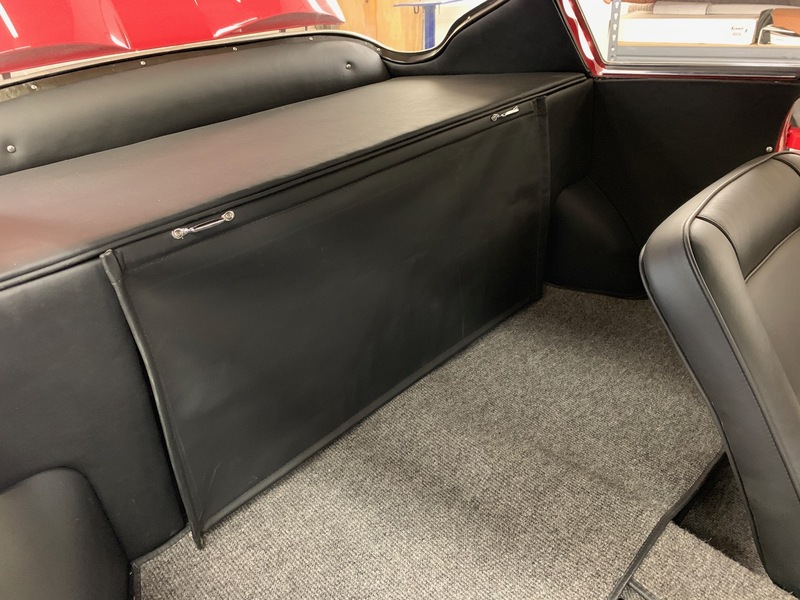 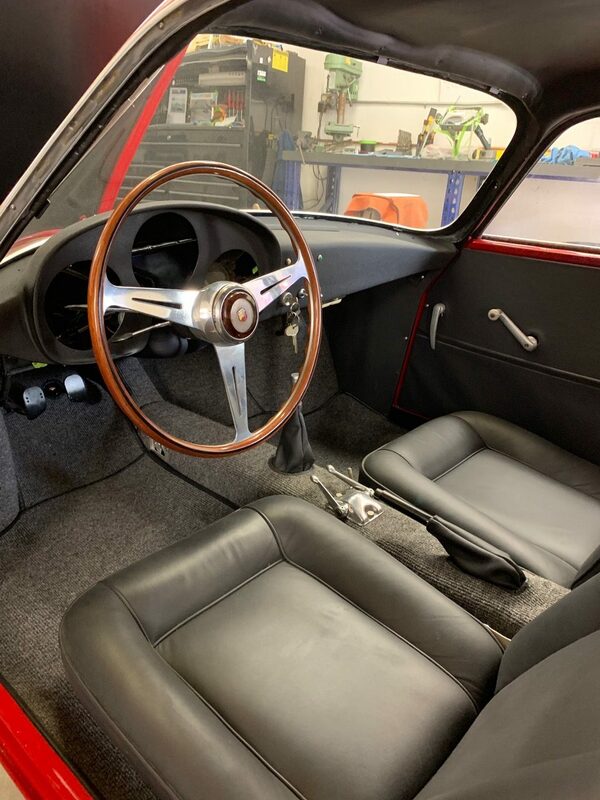 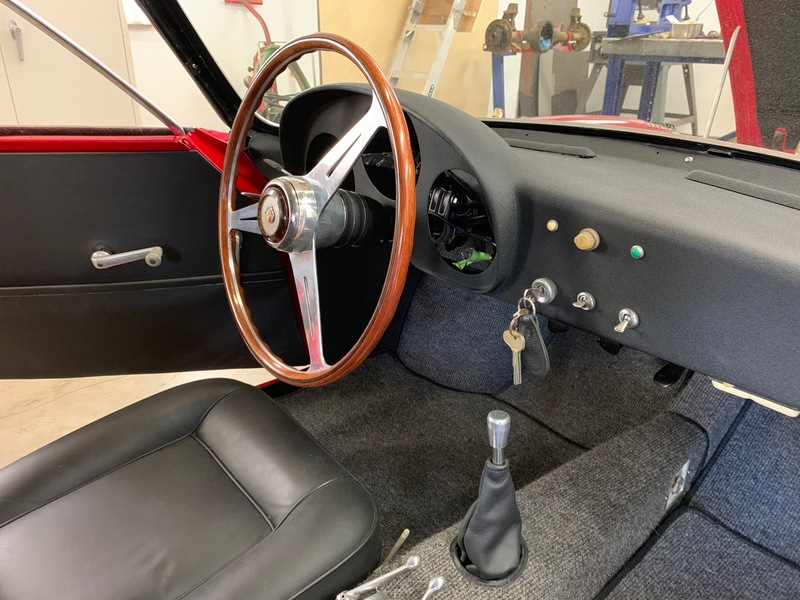 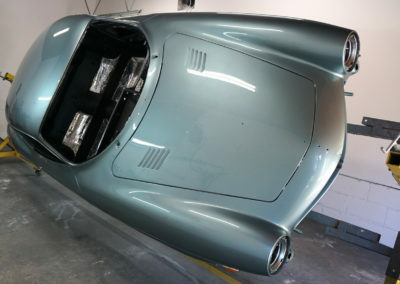 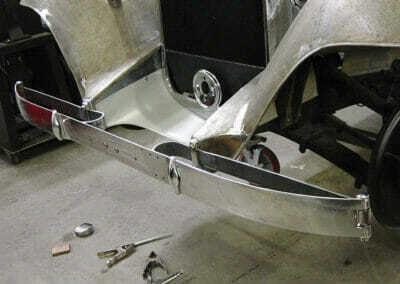 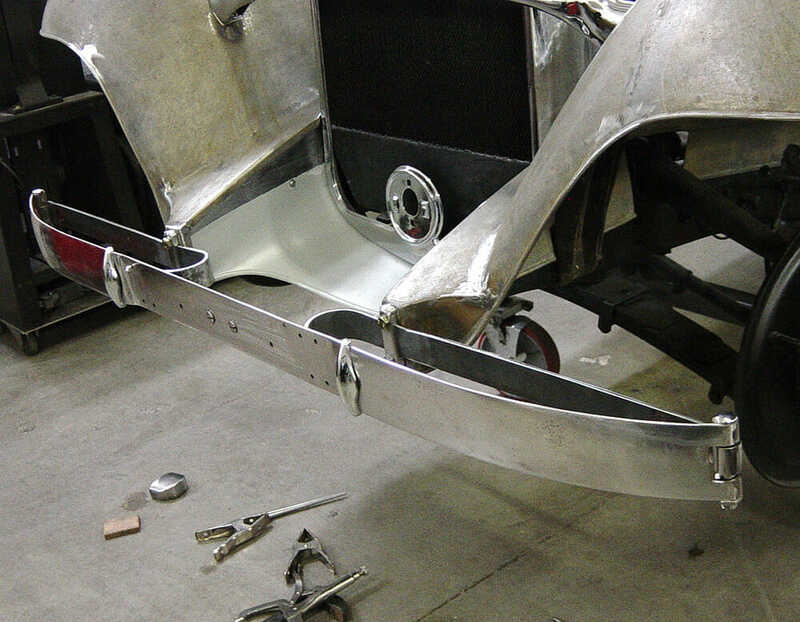 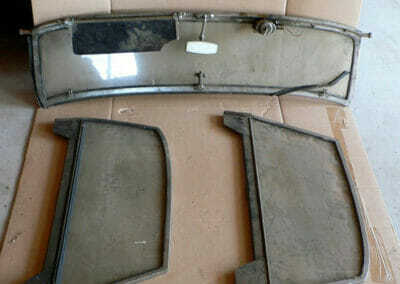 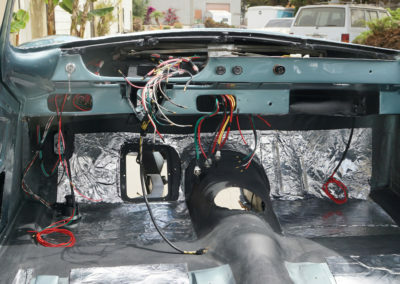 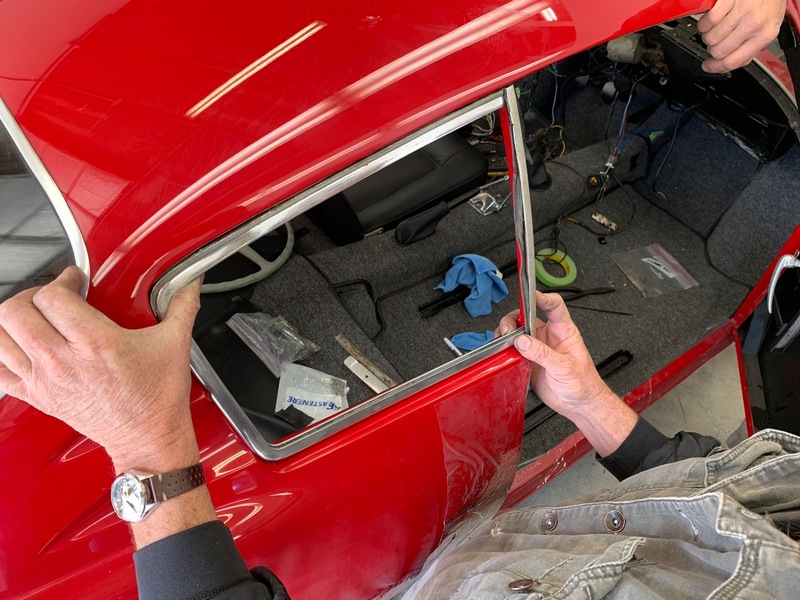 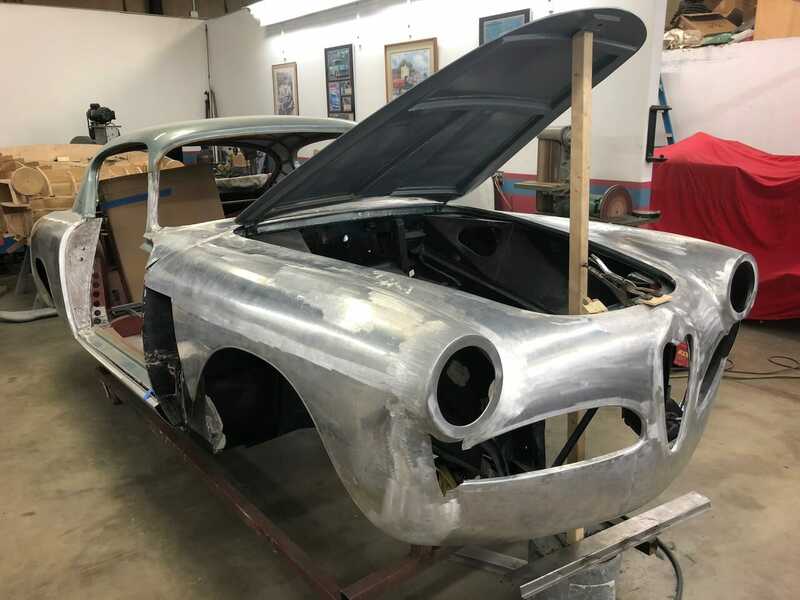 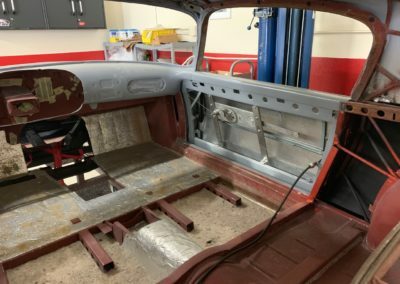 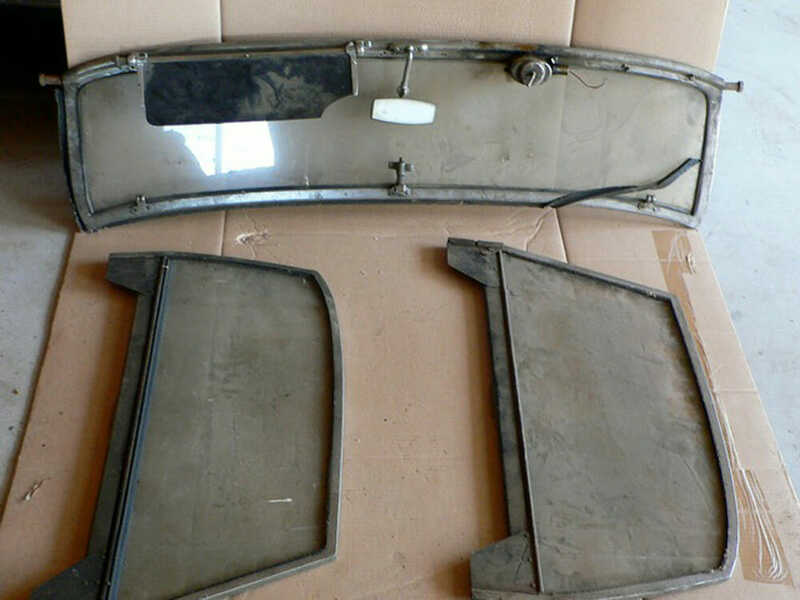 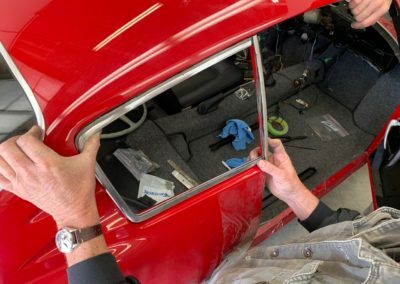 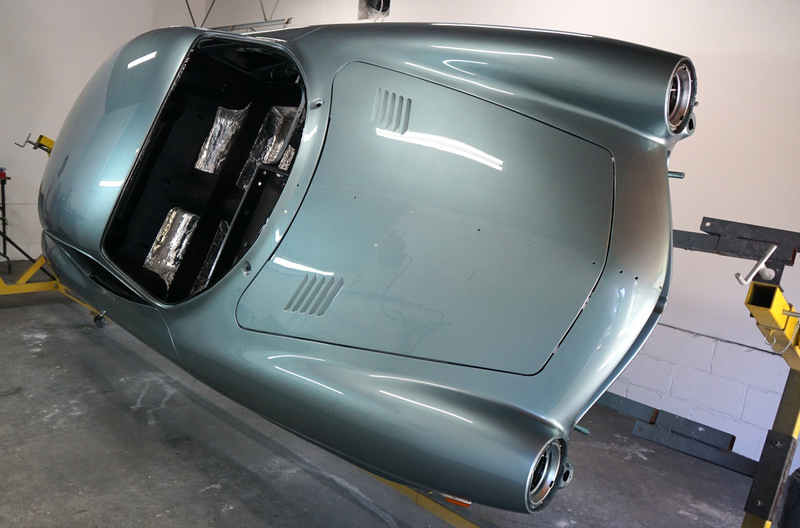 All the metalwork has been done to assure proper fit of all panels and glass openings and all the chrome has been fit to the car. 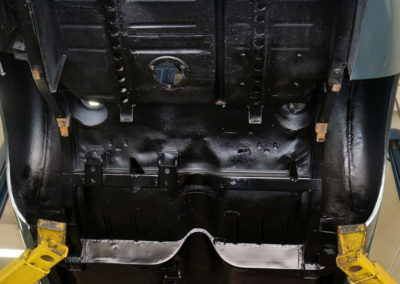 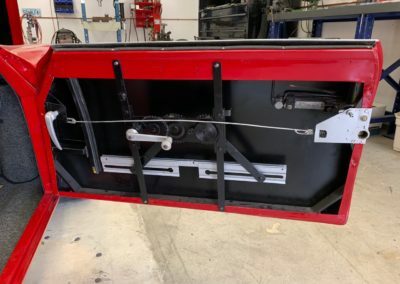 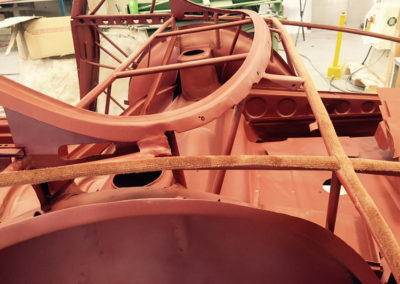 The tubular steel chassis is painted a red rust inhibiting primer and felt type insulation is placed between the steel and the aluminum to prevent corrosion. 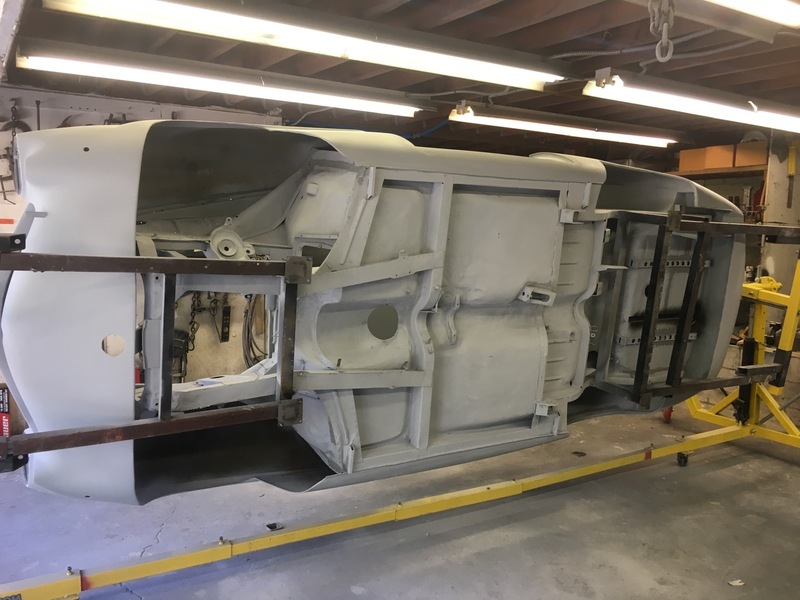 This car has been disassembled down to the unibody and then media blasted to remove the old paint and expose any previous rust or damage. 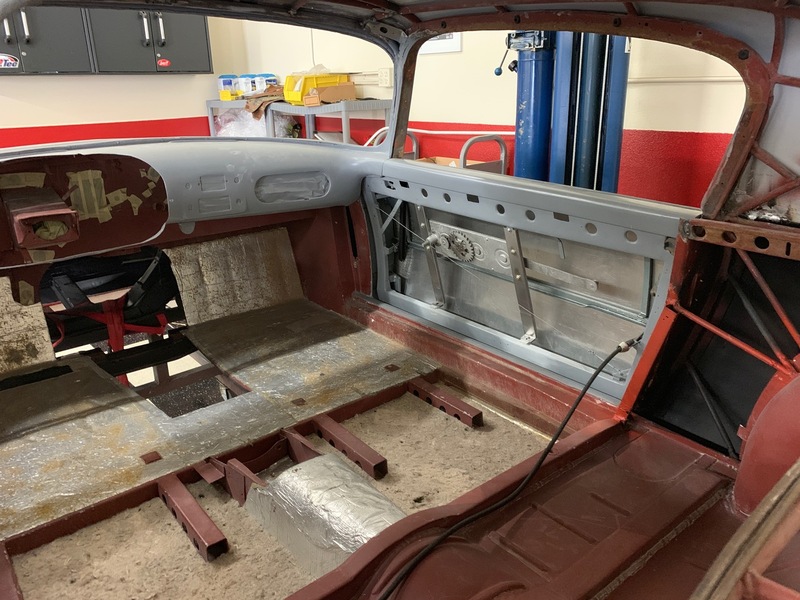 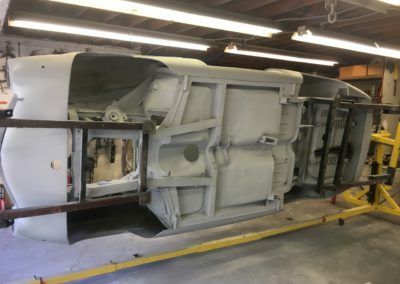 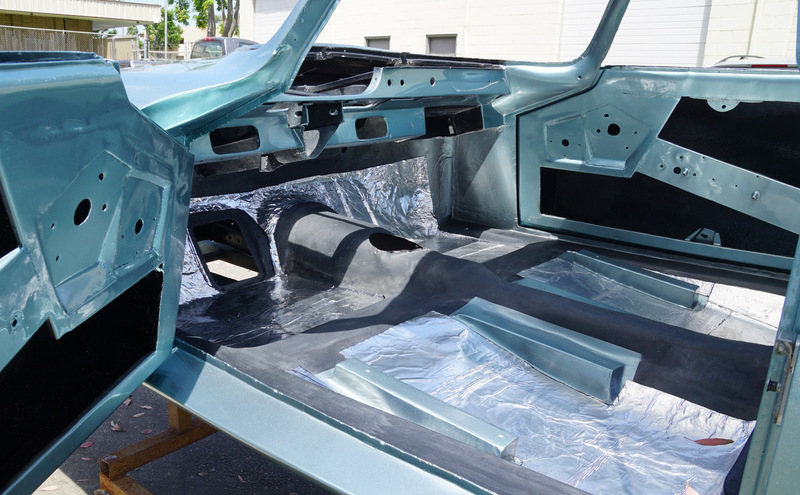 After repairing the damage in metal and fitting all panels, bumpers, and glass the body is prepped for paint on a rotisserie stand so we can access all areas. 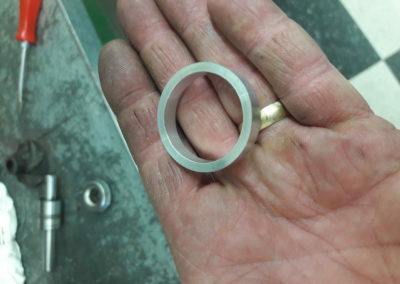 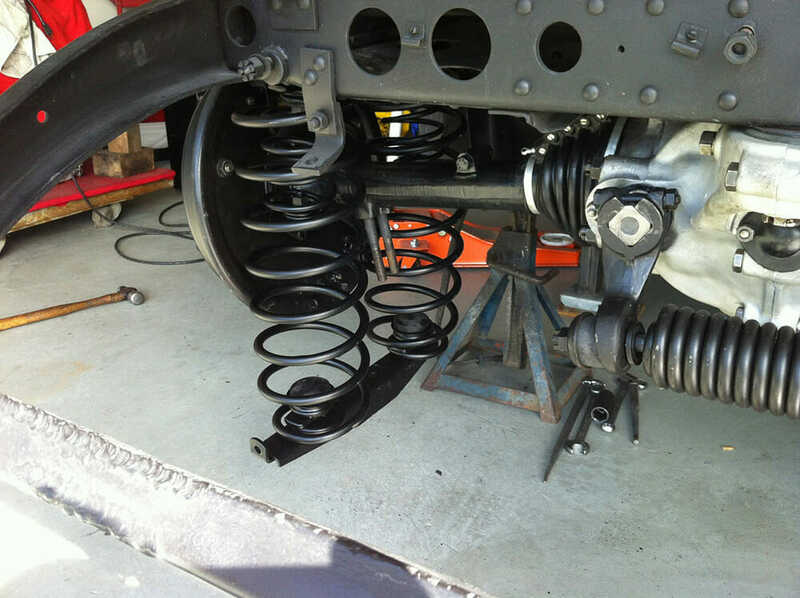 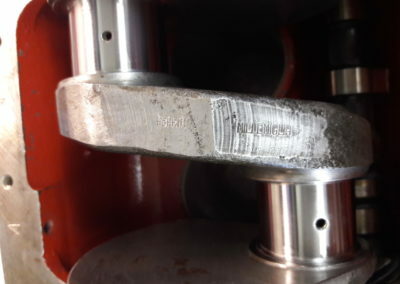 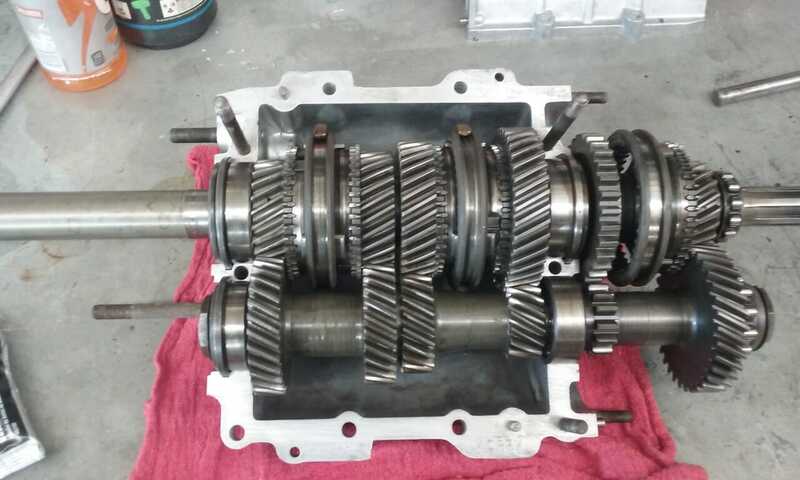 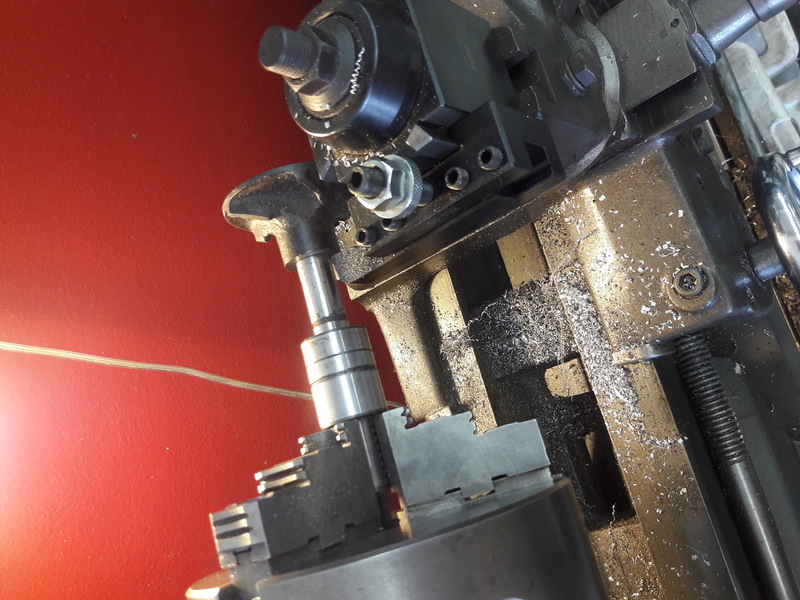 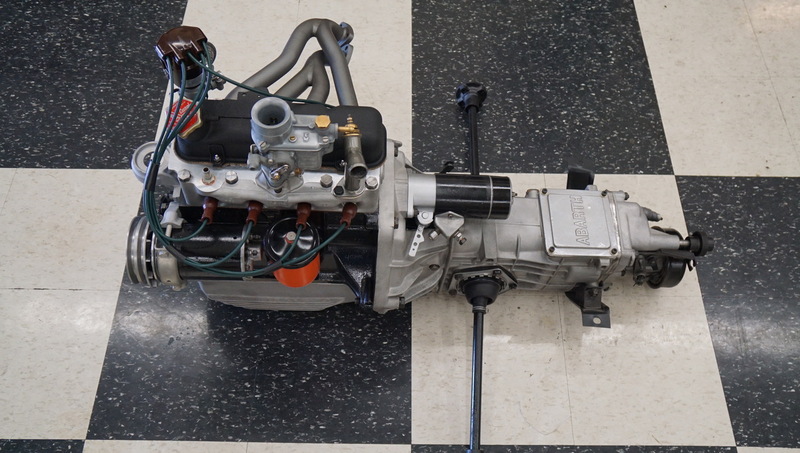 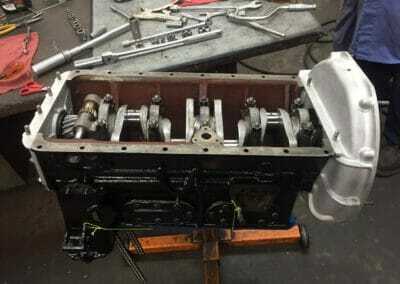 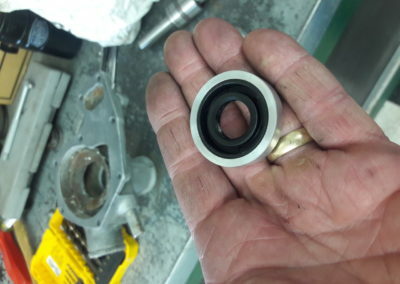 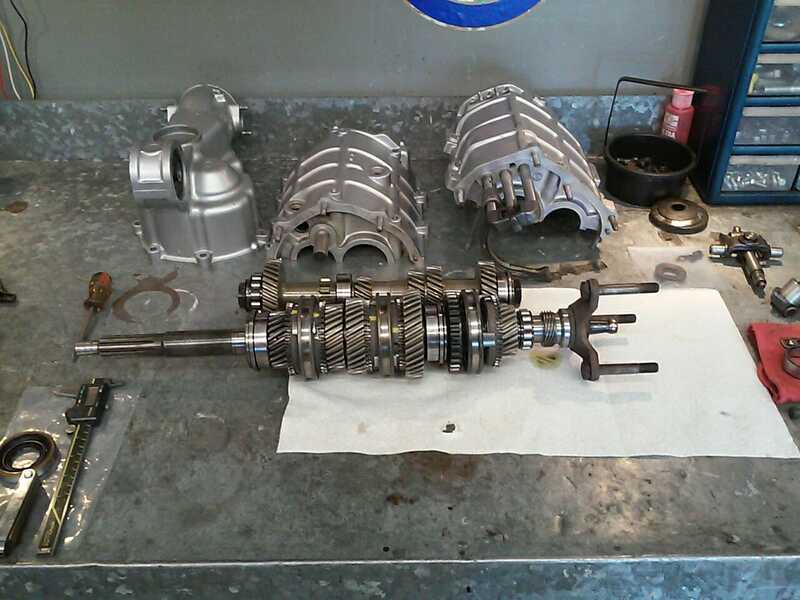 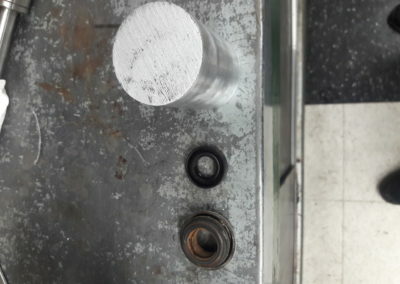 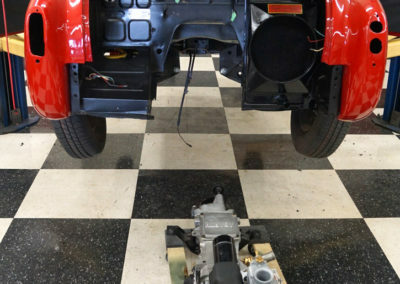 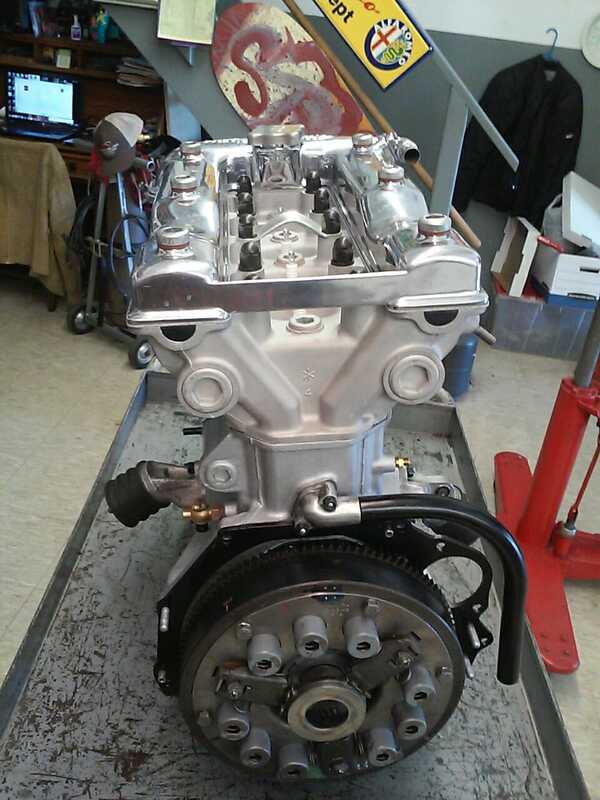 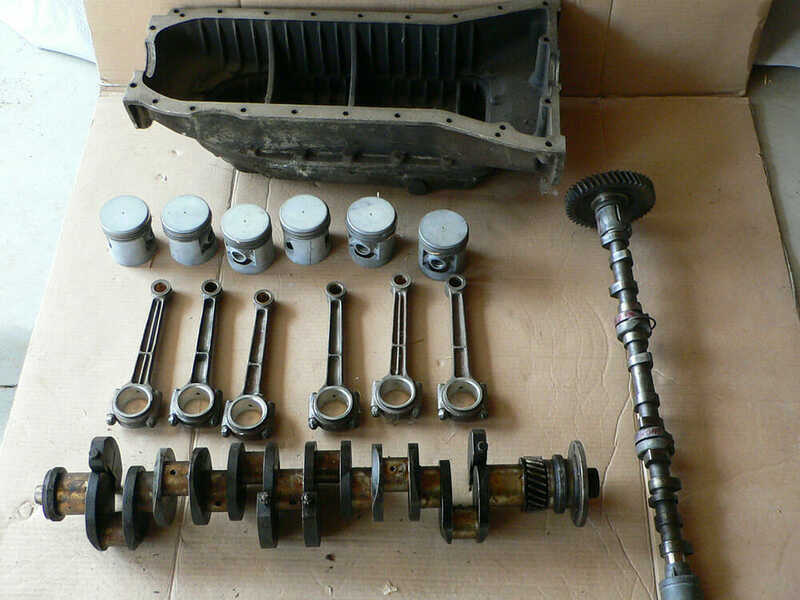 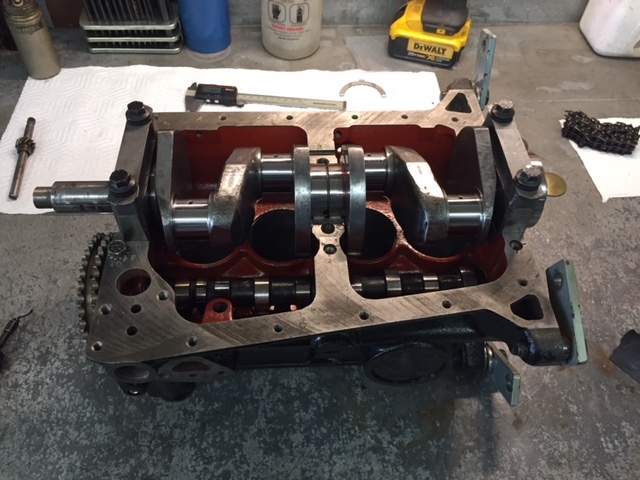 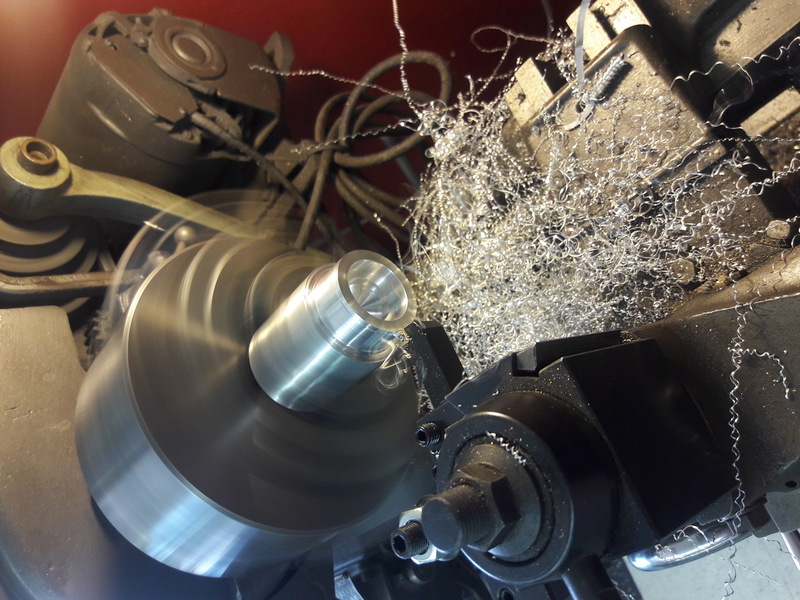 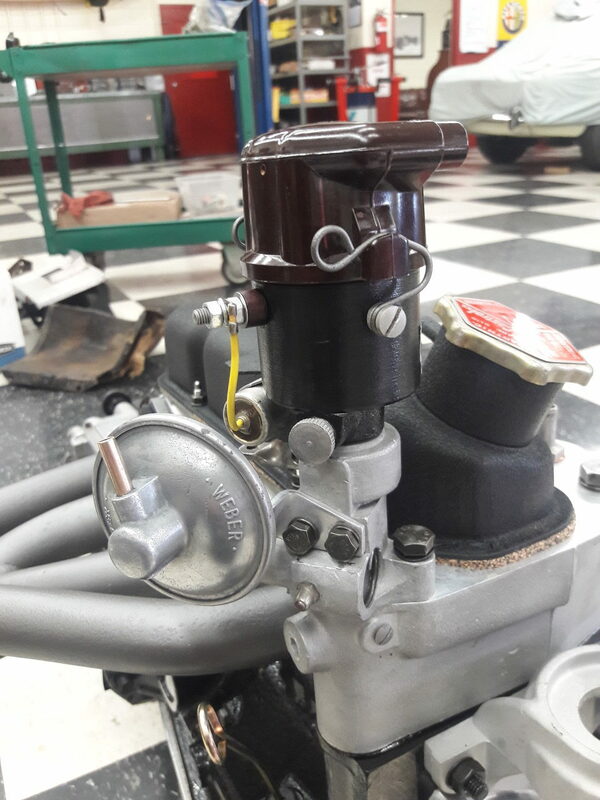 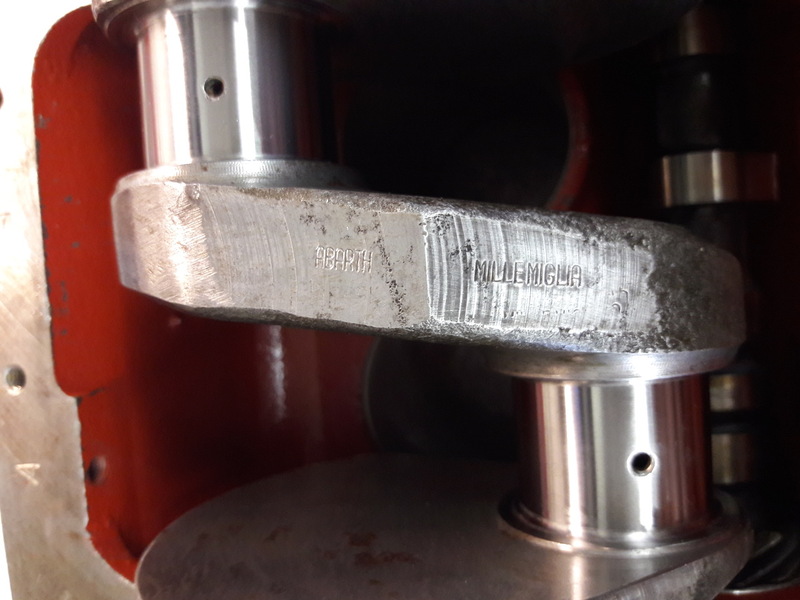 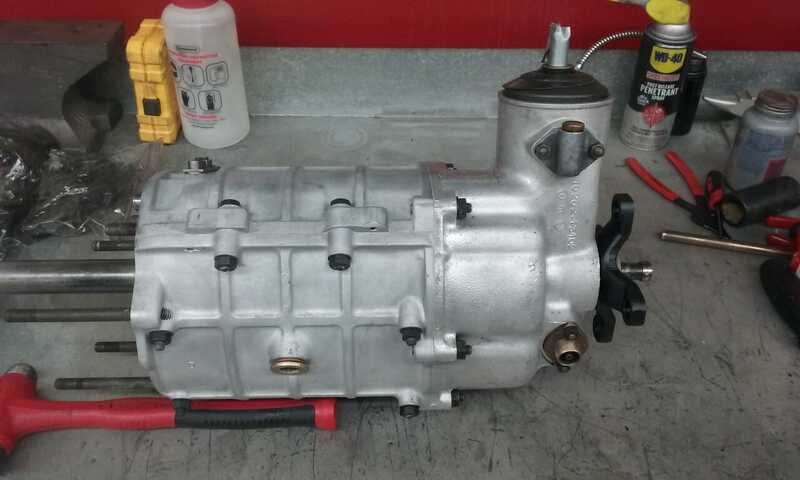 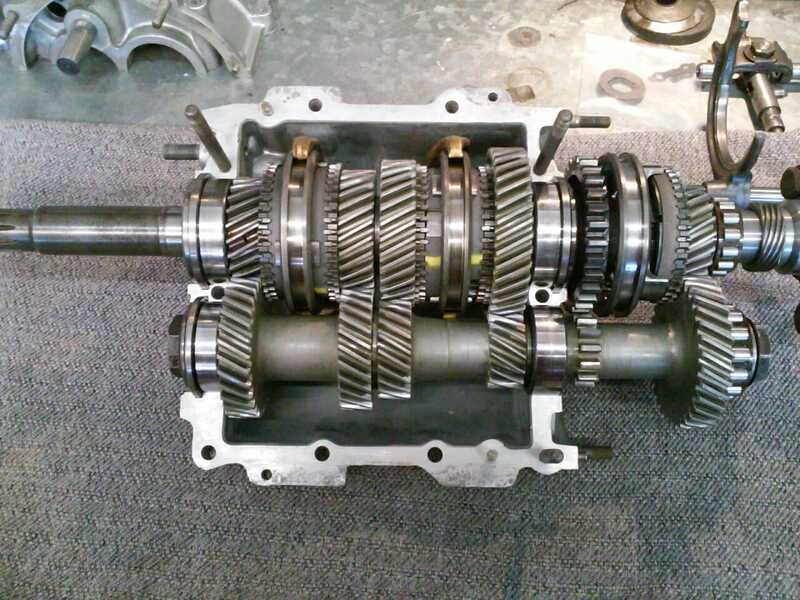 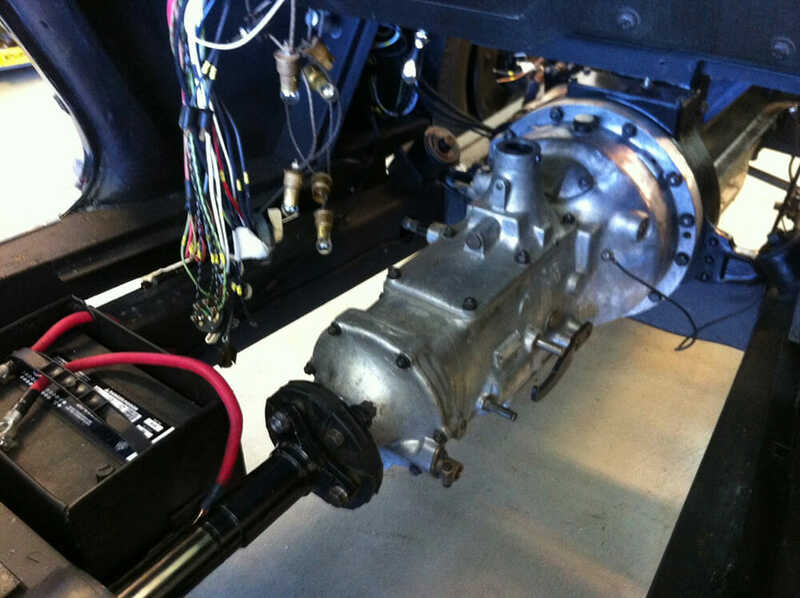 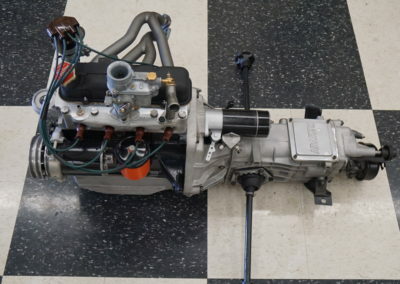 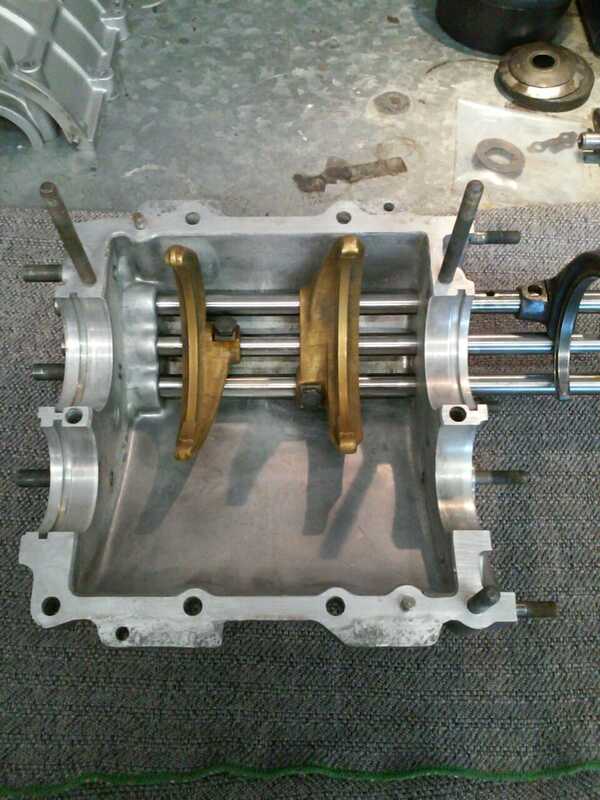 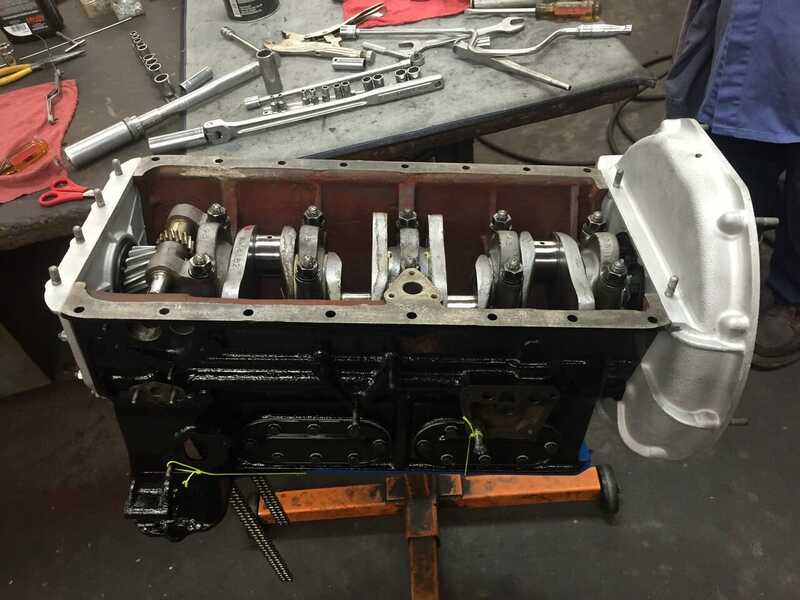 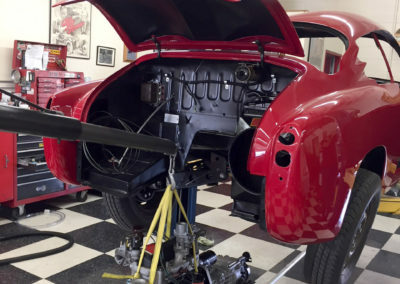 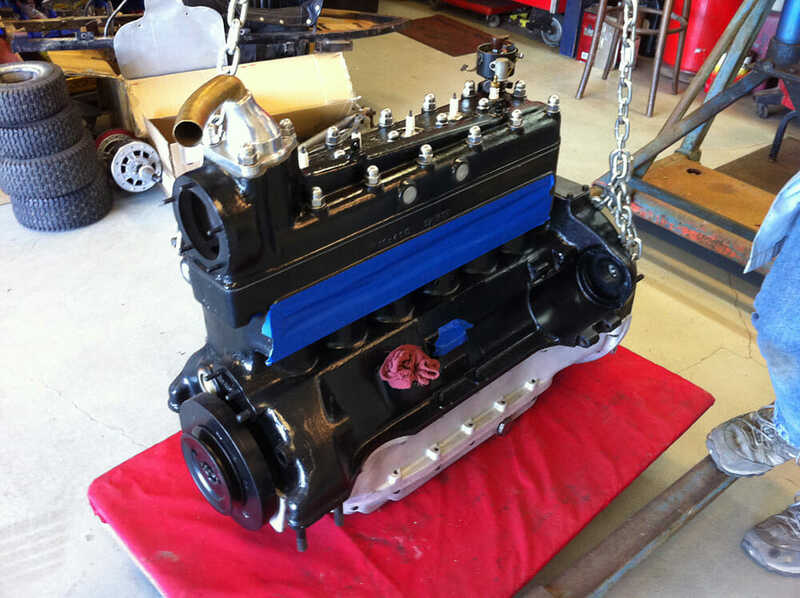 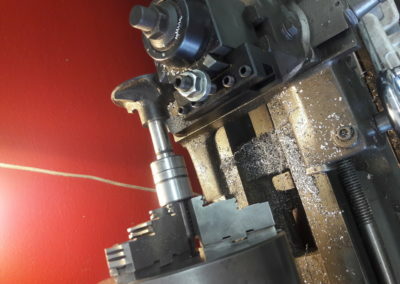 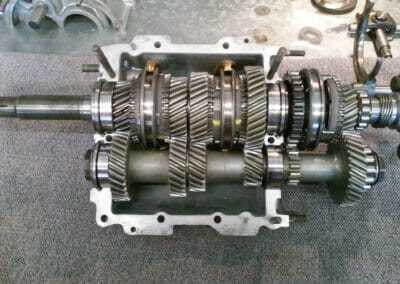 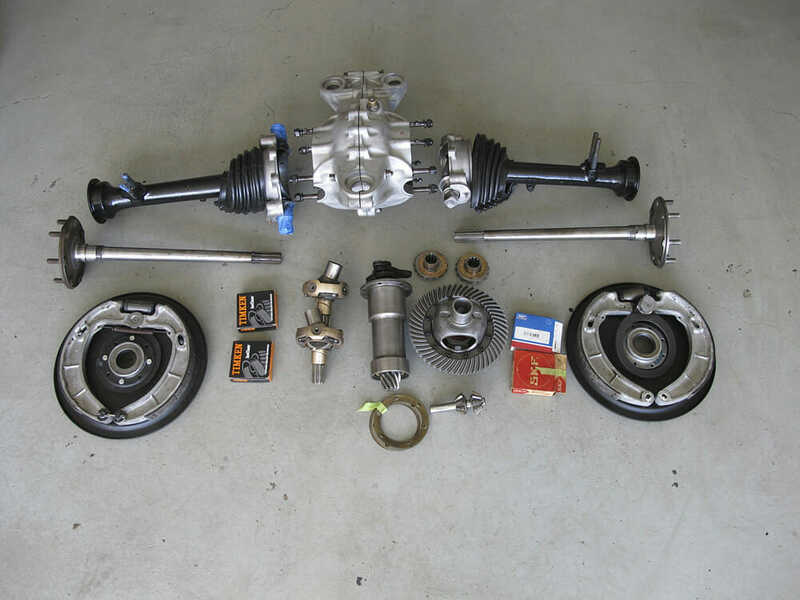 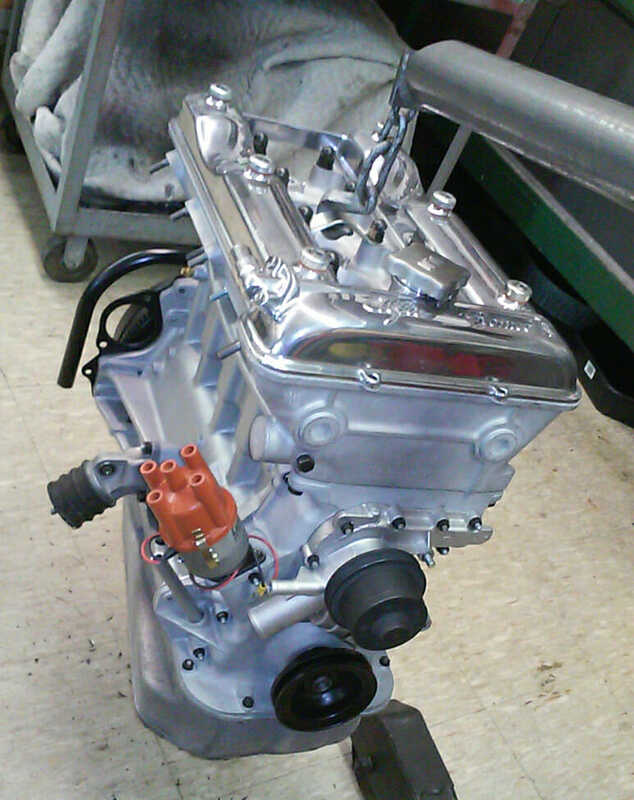 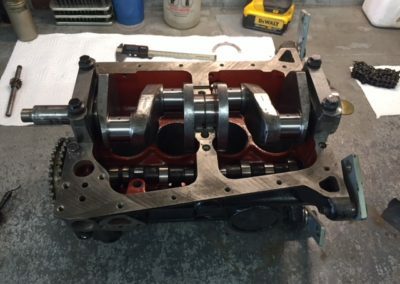 In addition to body work the suspension, engine, transmission, and the rest of the drive train is dismantled, inspected, restored and made ready to re-install. 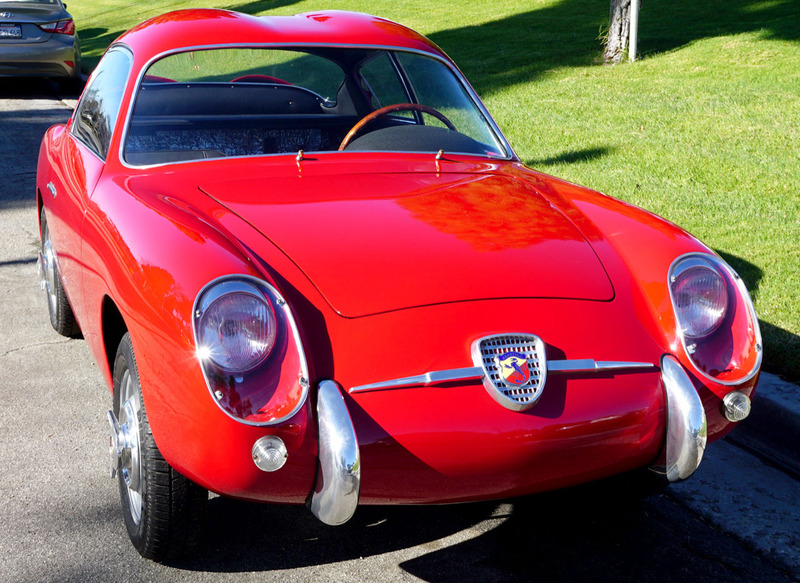 Approximately 20 Corsa models were built by Abarth and most were lost over time as racers. 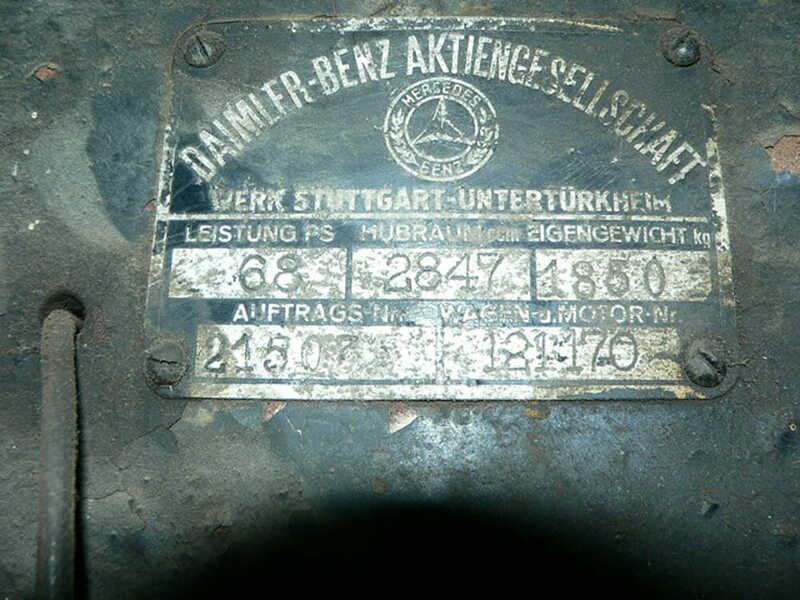 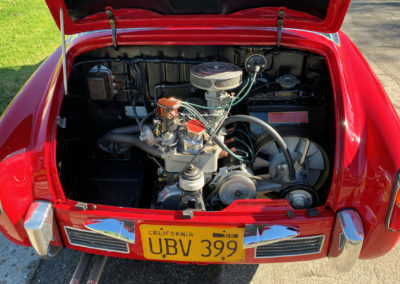 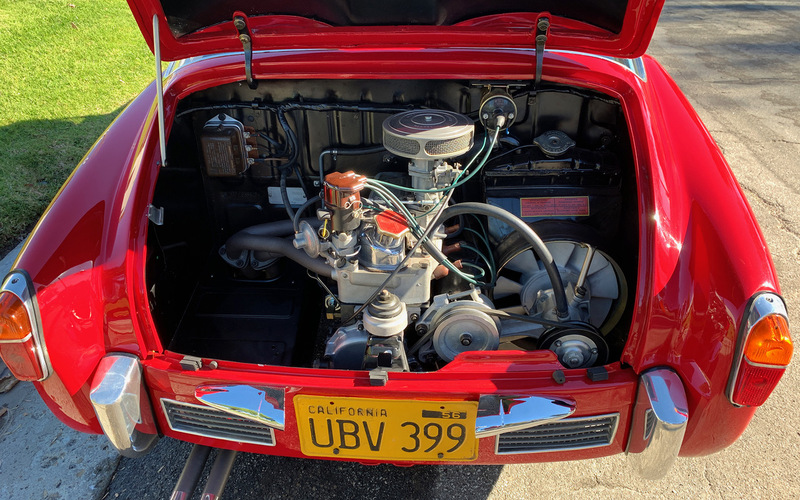 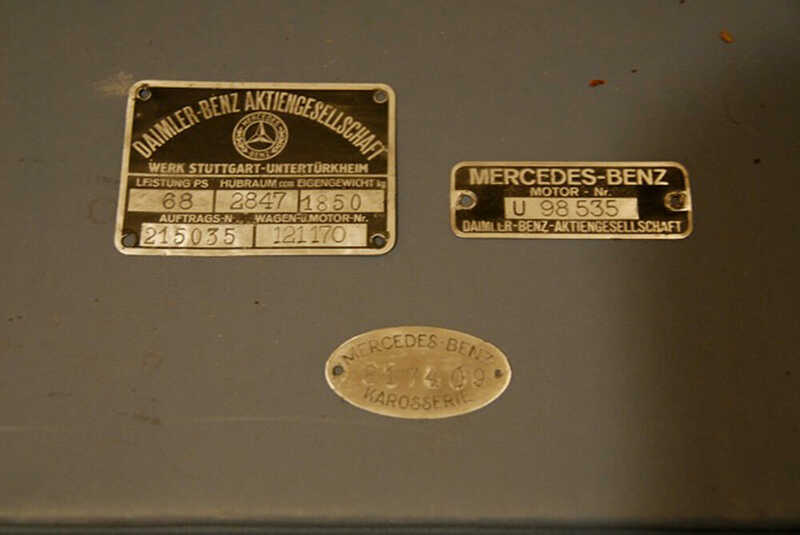 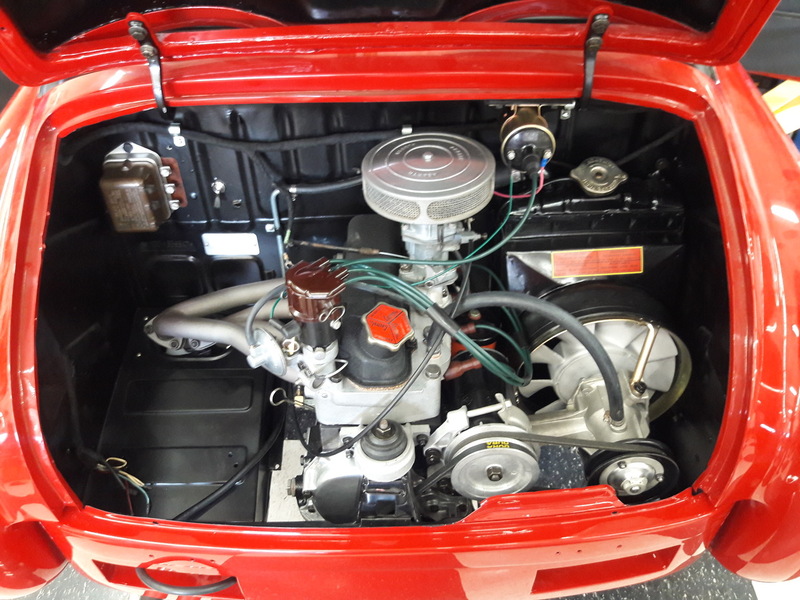 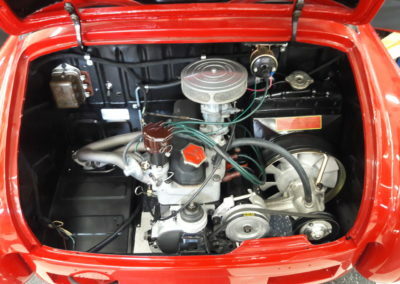 This particular car was purchased from the original owner and still retains it’s original engine, undoubtably because most of it’s life was in storage. 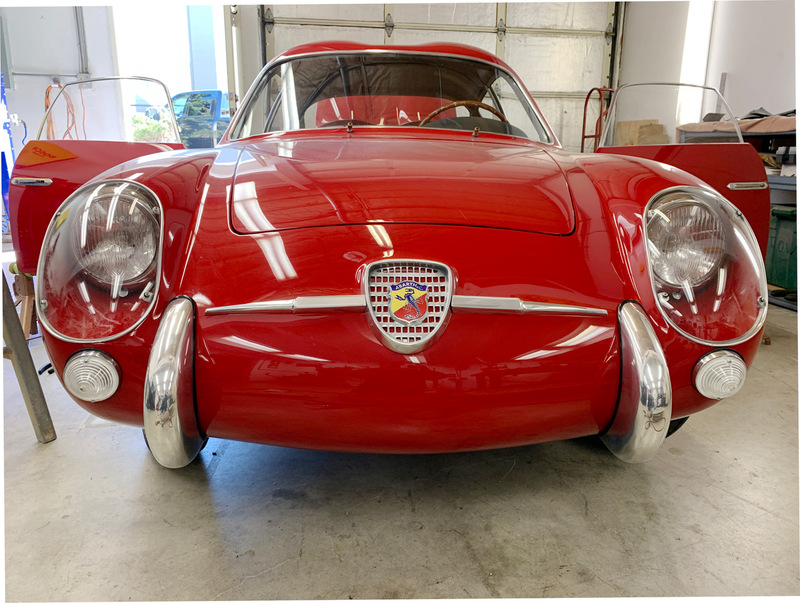 The car was made in December of 1957 and Stan Goldstein purchased the car new in 1958 where it was being used by the dealer as demonstrator. 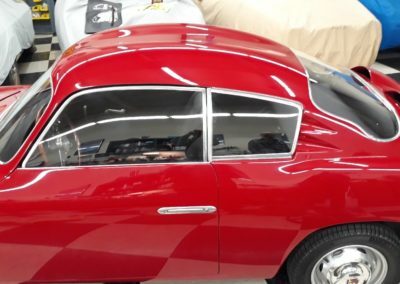 He used the car for years and even proposed to his wife in it! 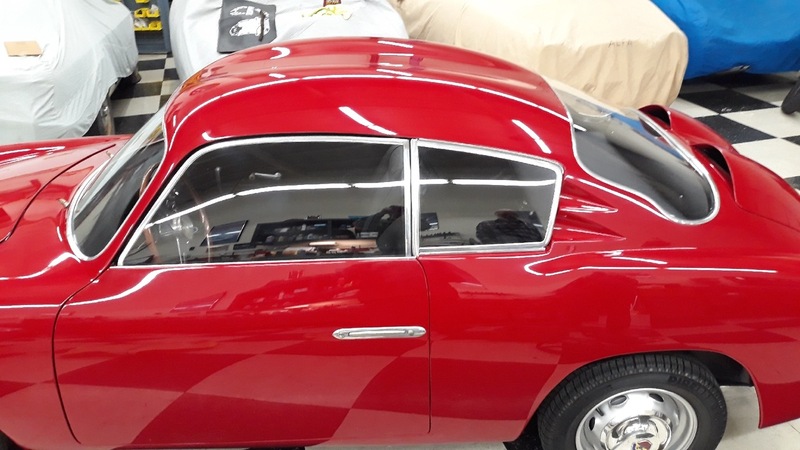 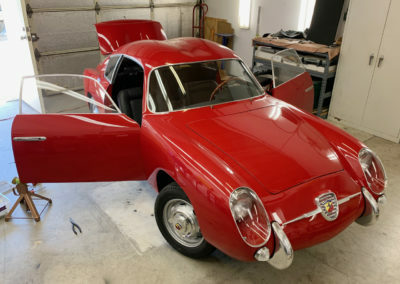 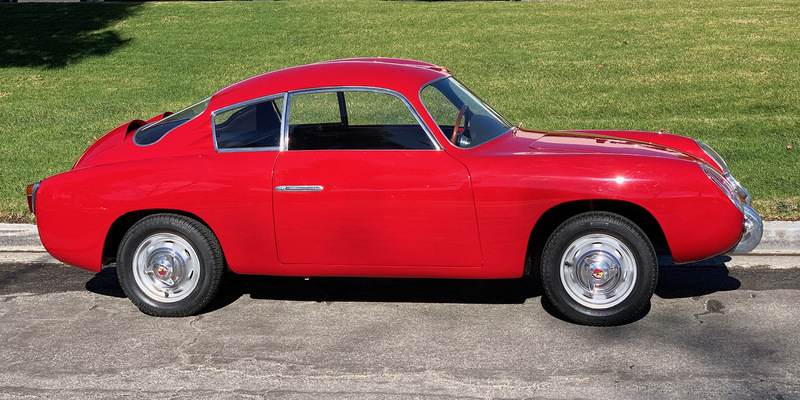 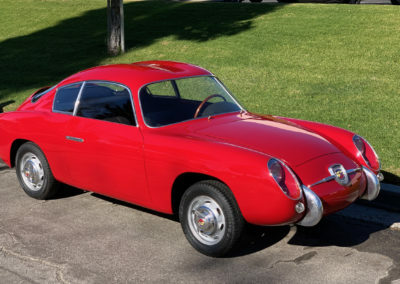 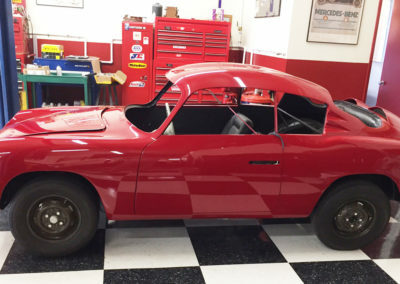 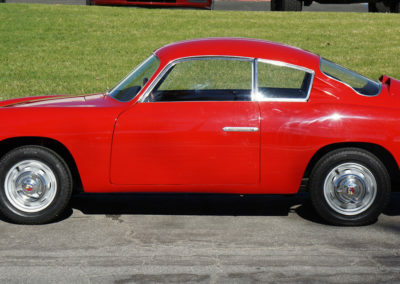 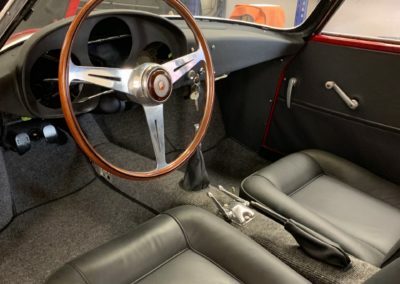 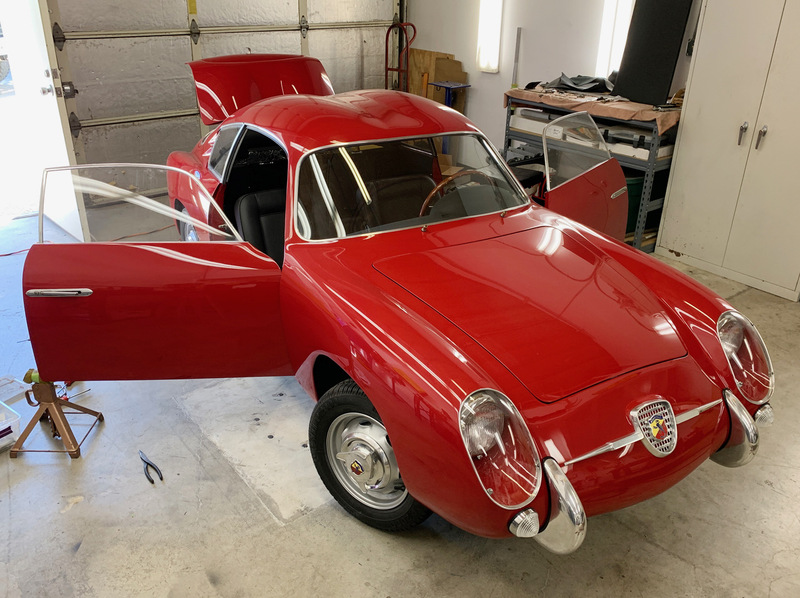 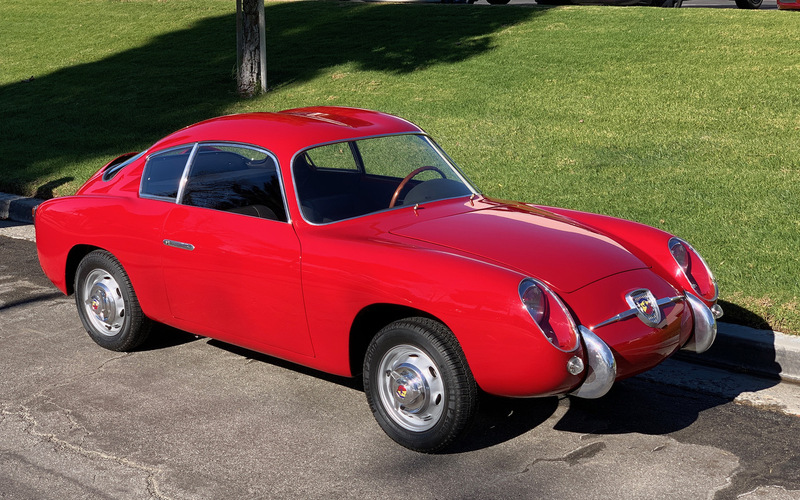 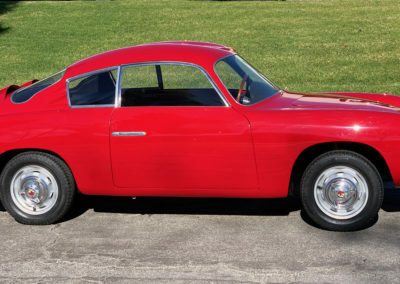 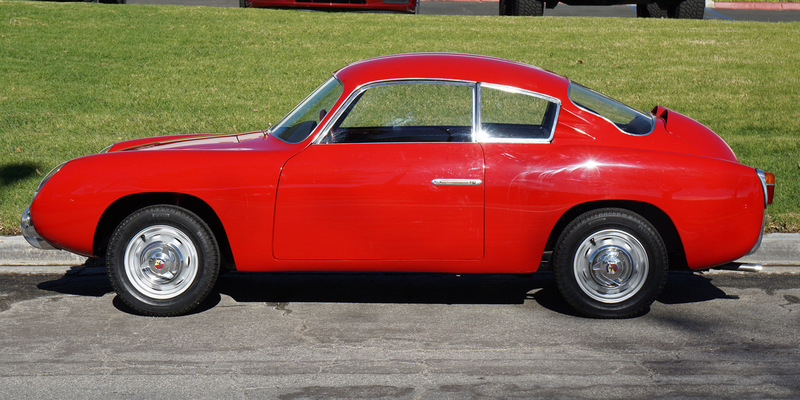 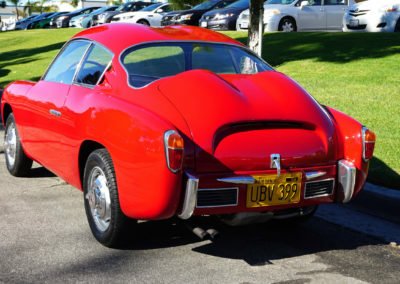 As life went on for Stan, the Abarth was retired to storage where it sat until 1994 when Stan trailered it to the Concours Italiano in Carmel and displayed it in bare metal. 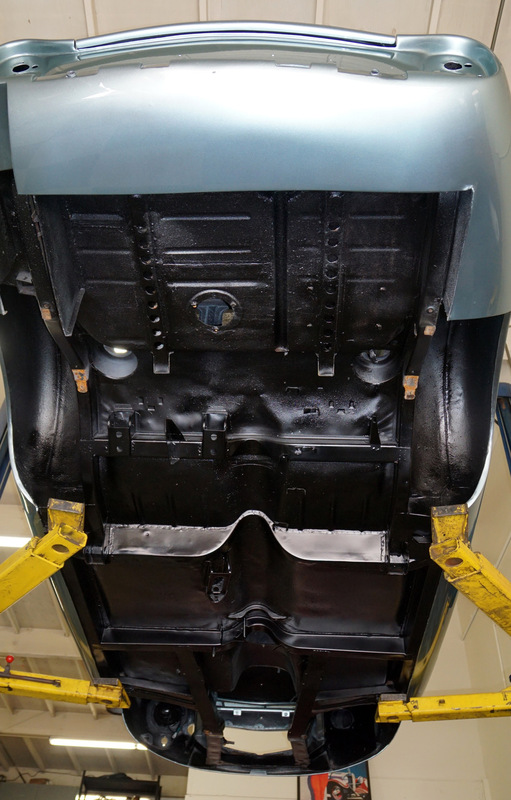 On and off for the next 25 years Stan worked on restoring #393991 to the way he purchased it. 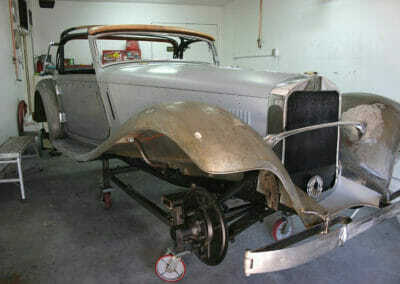 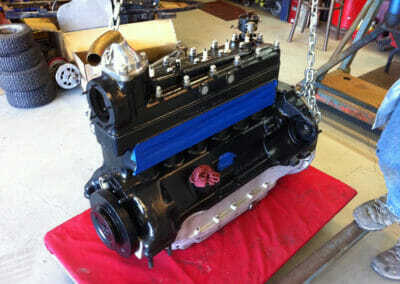 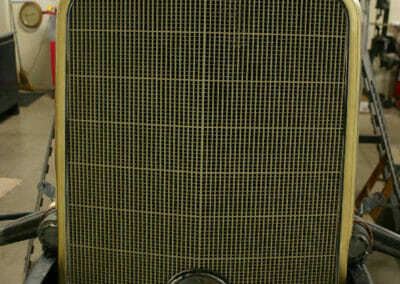 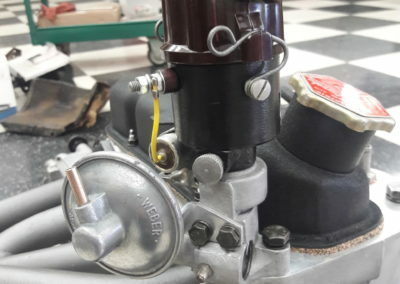 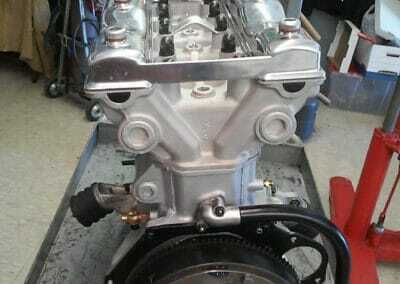 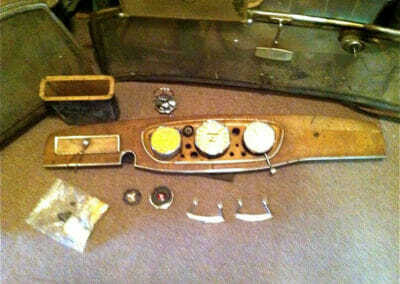 Then I purchased it and took over finishing the restoration with Stan’s help and knowledge. 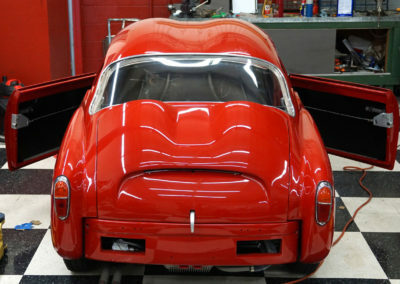 Enough of the original red paint was left on the frame of the rear window for us to match the color. 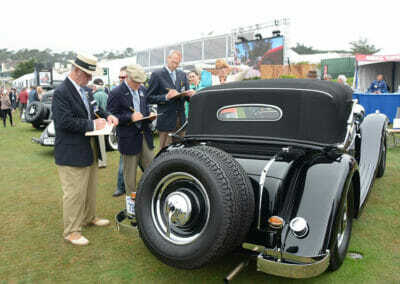 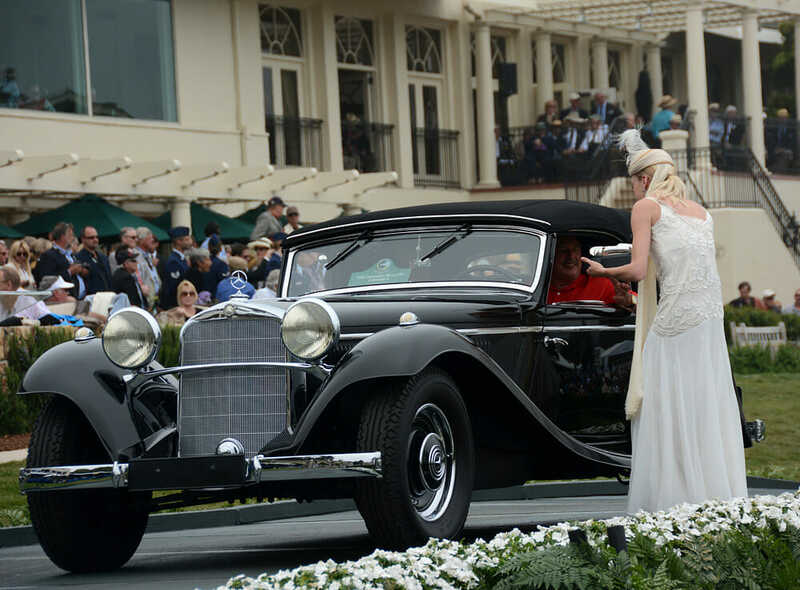 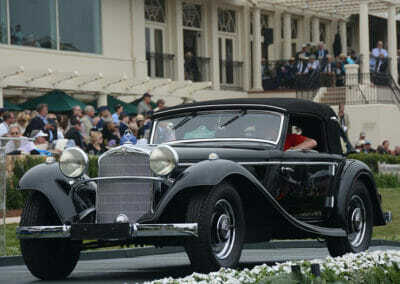 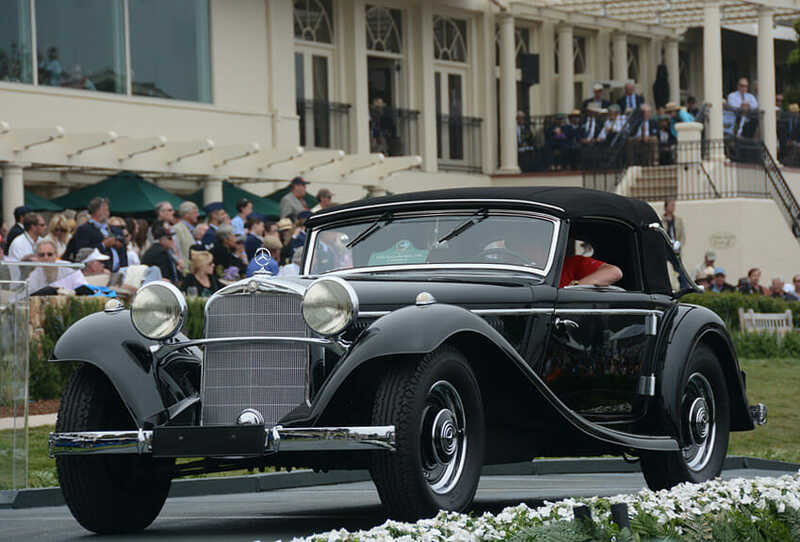 This car was a trophy winner at 2013 Pebble Beach Concours d’Elegance in the pre-war Mercedes class; the first 290 to be on the podium in the 63 year history of Pebble Beach. 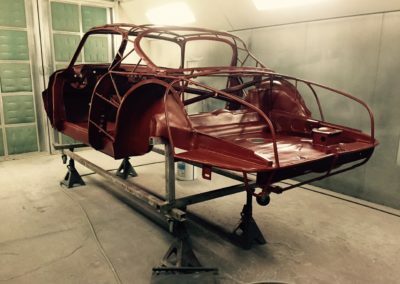 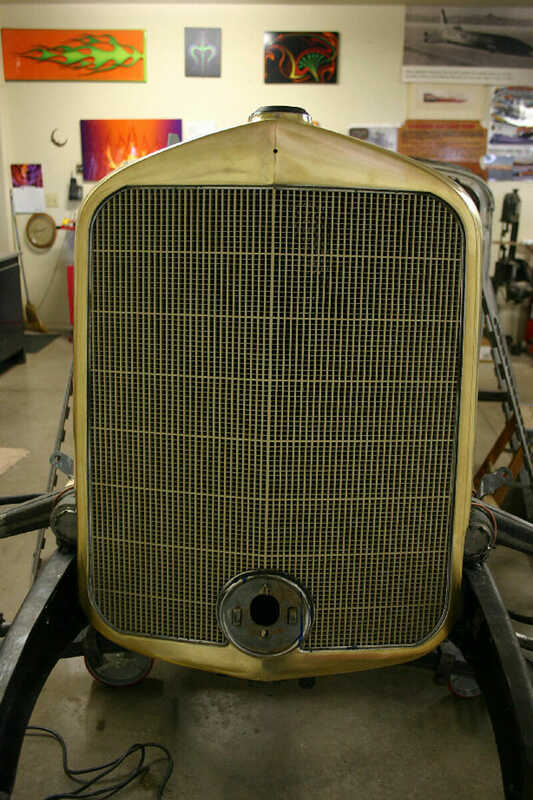 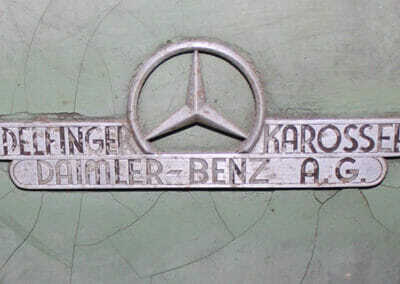 Join our mailing list for information on future vehicles as well as updates on our cars in restoration. 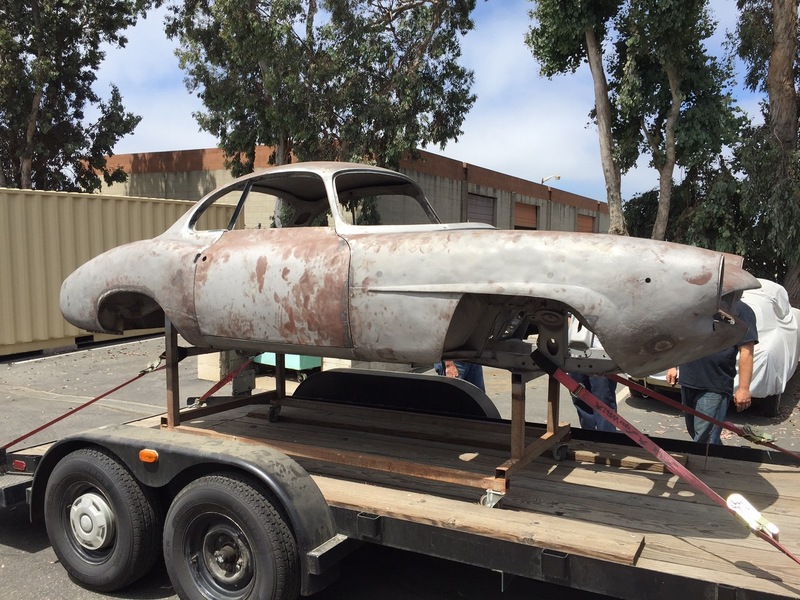 If you have questions, please contact Patrick Smiekel at 805-680-6900 or psmiekel@gmail.com.